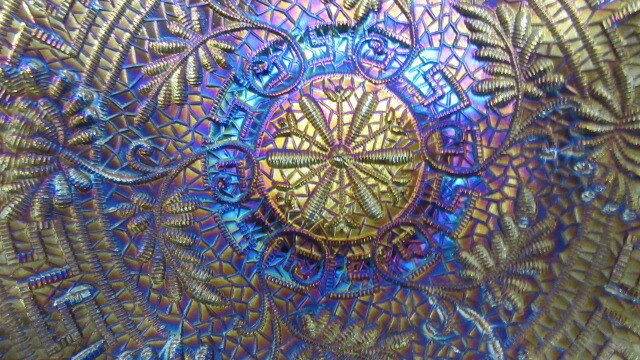 Northwood's Embroidered Mums pattern has stitchery details with six chrysanthemums in a ring. 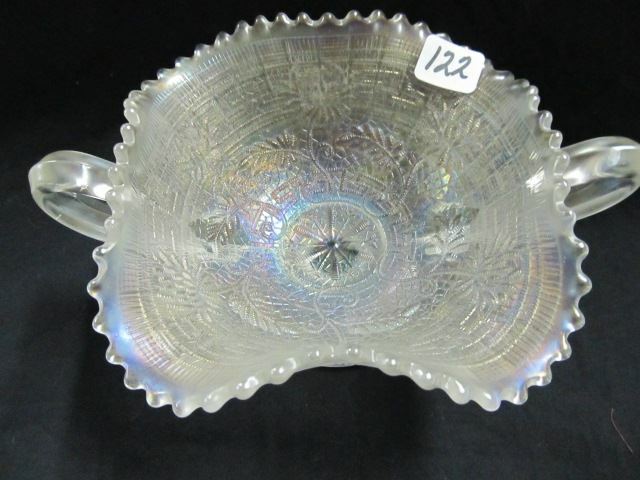 It has about the same design density as Northwood's Hearts and Flowers pattern, so make sure you check for the mums. 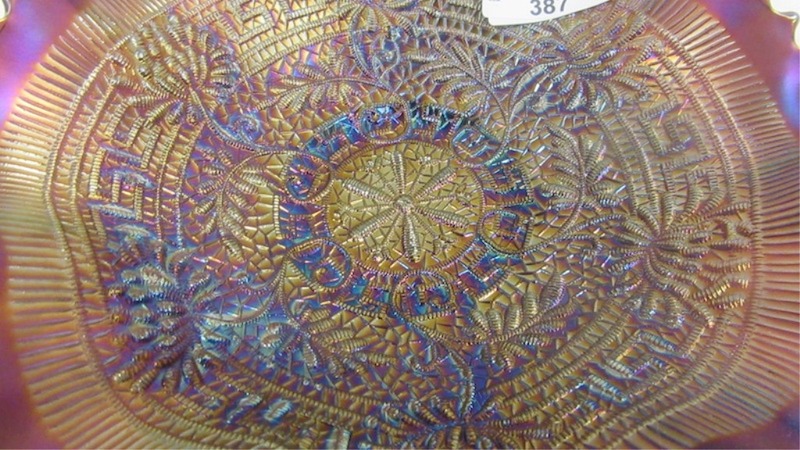 Most pieces have the ribbed back, but a few have a plain exterior. 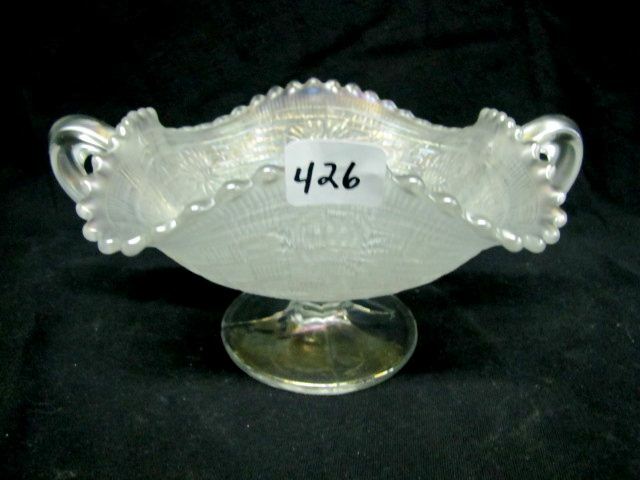 No ice cream shaped bowls are known. 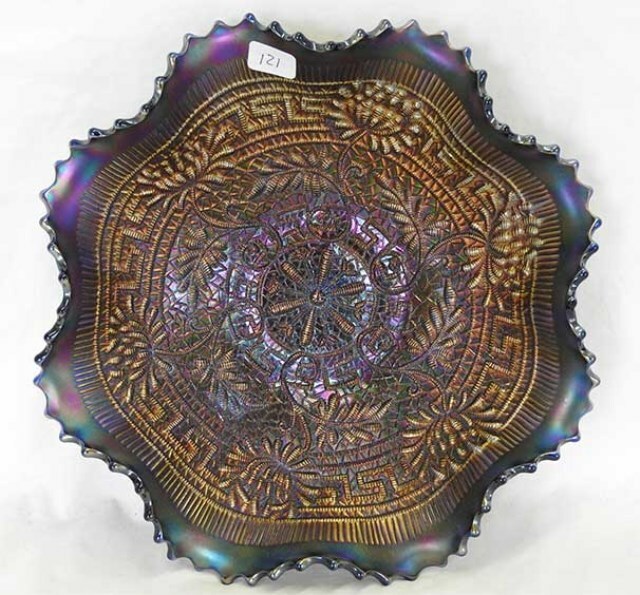 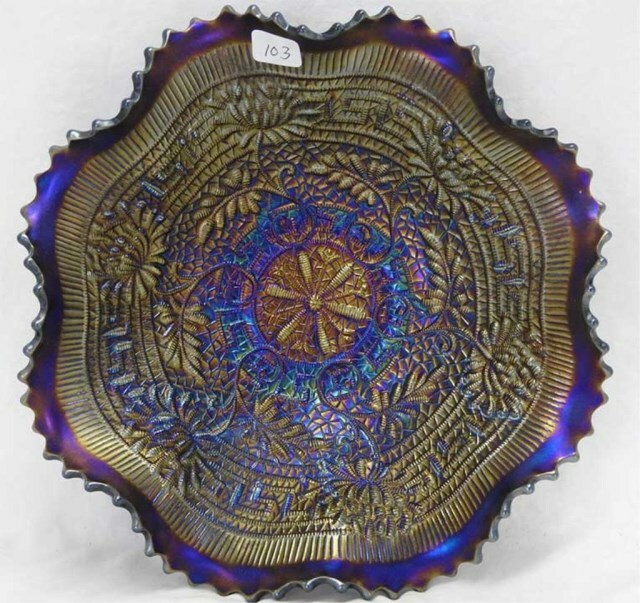 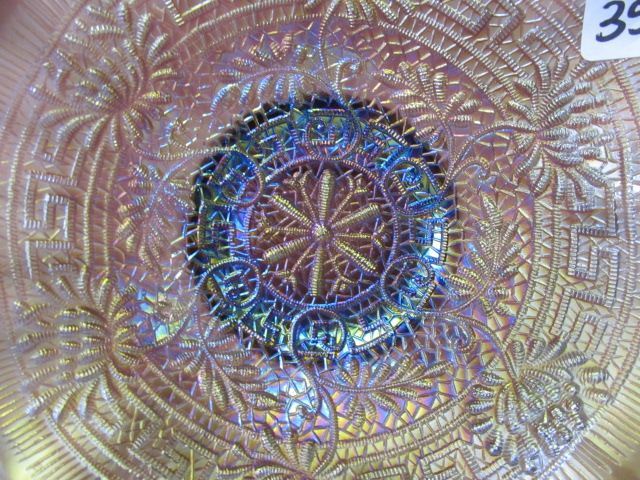 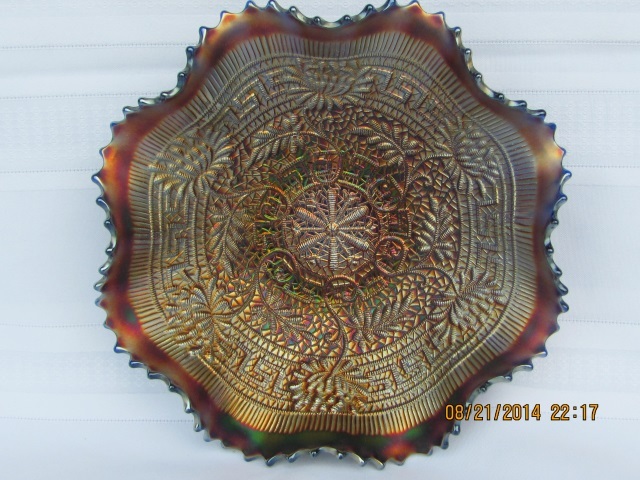 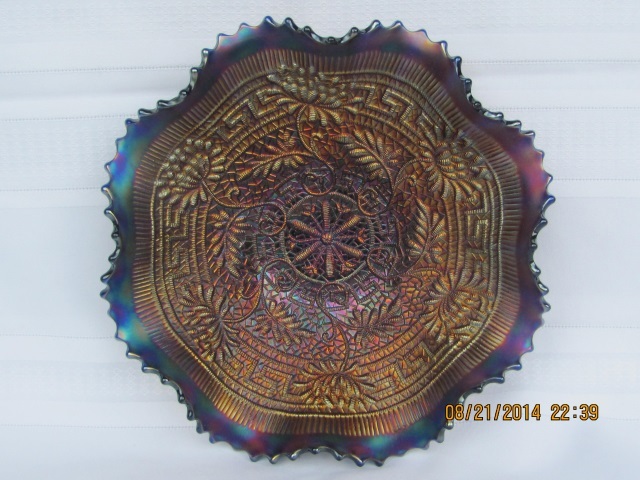 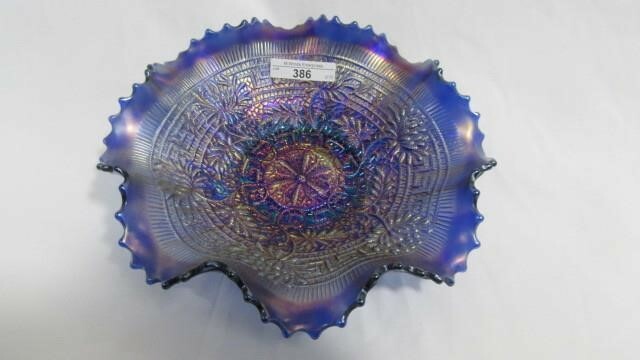 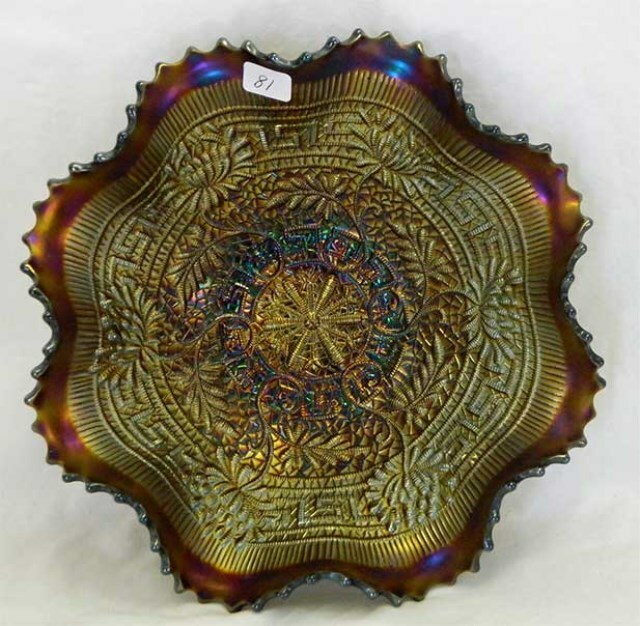 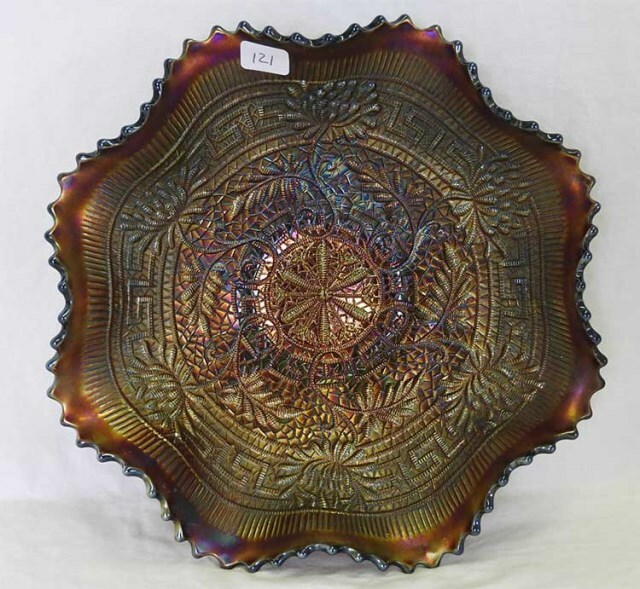 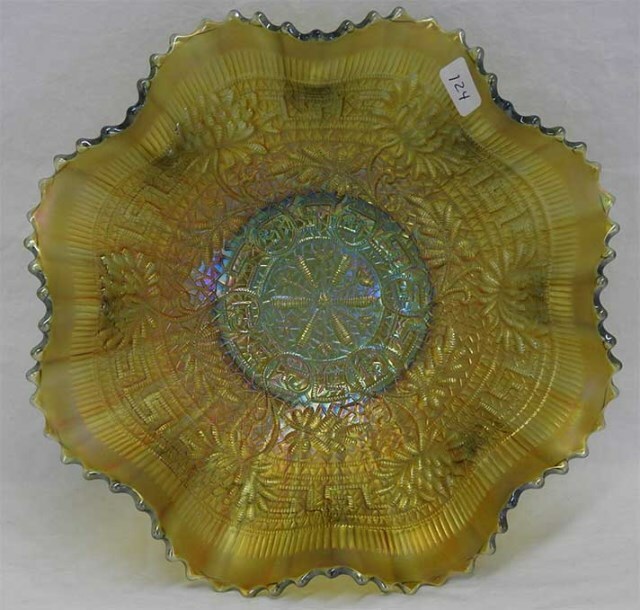 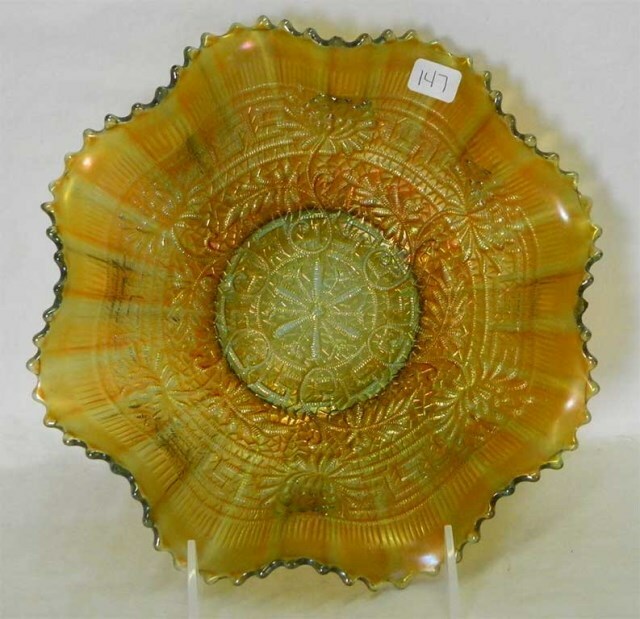 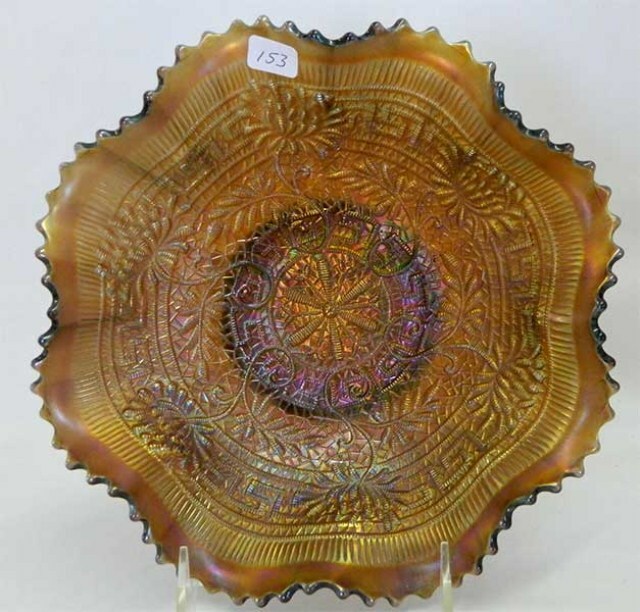 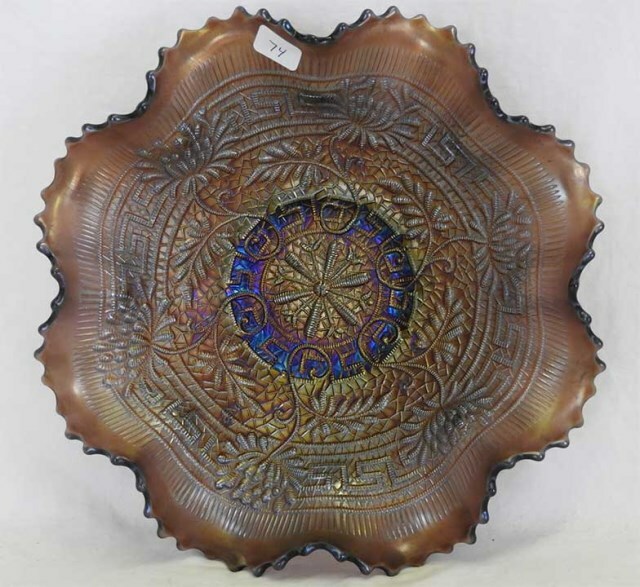 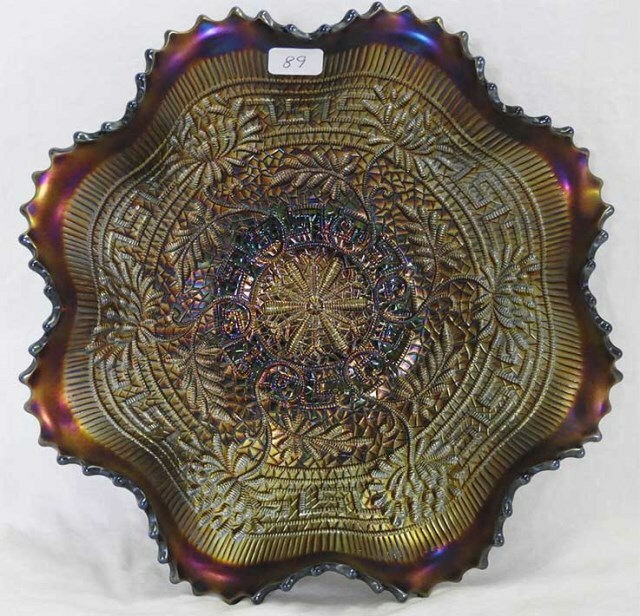 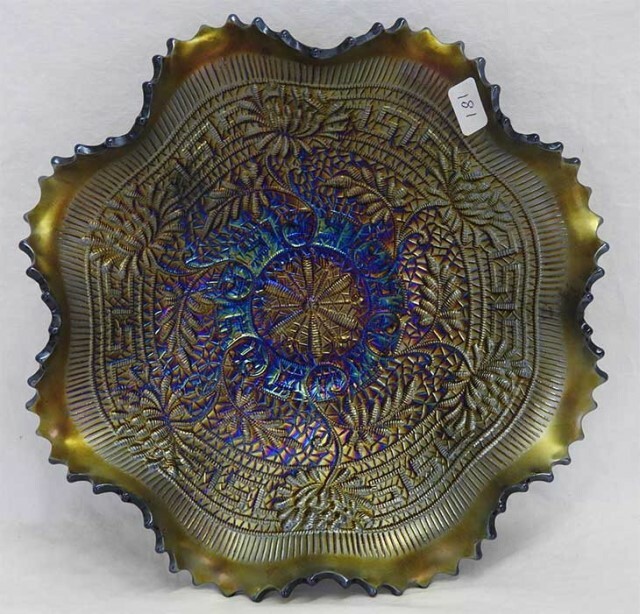 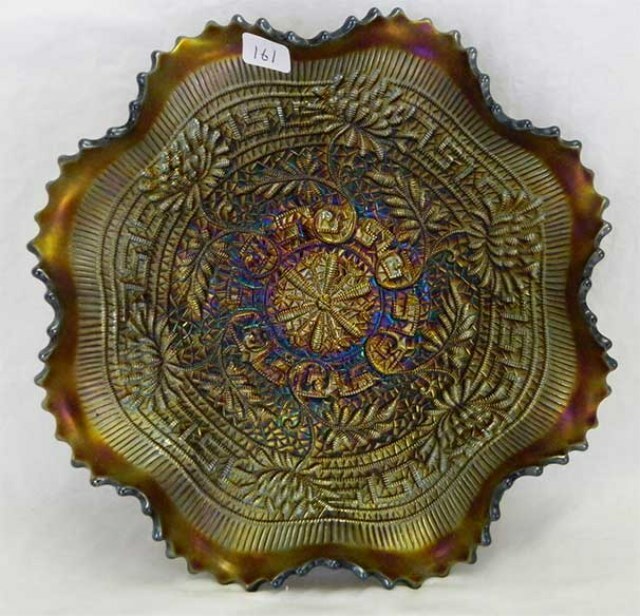 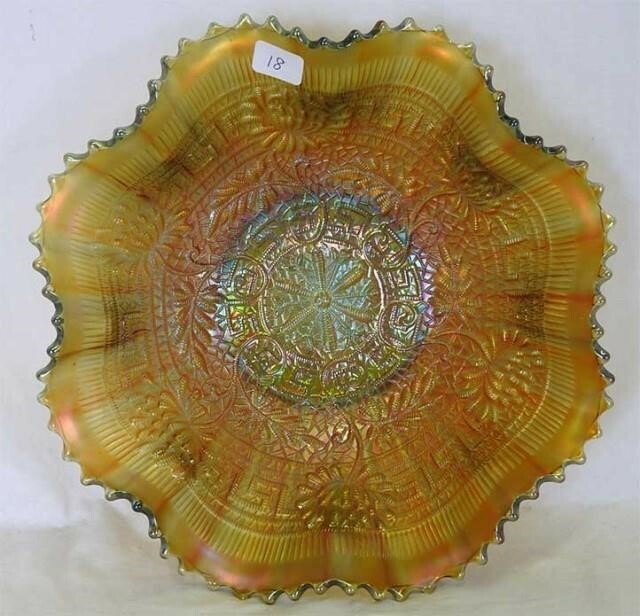 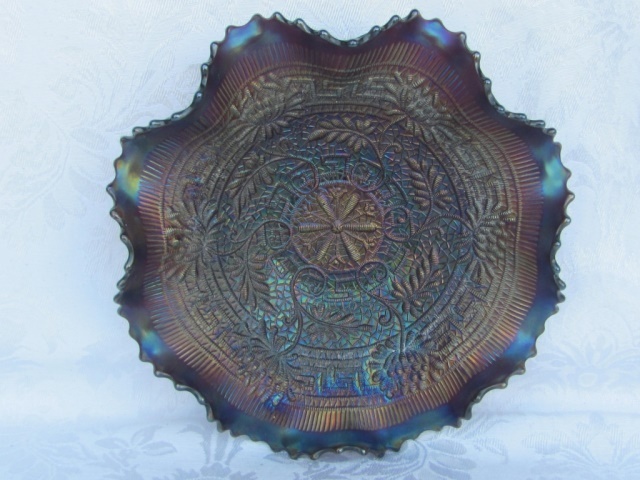 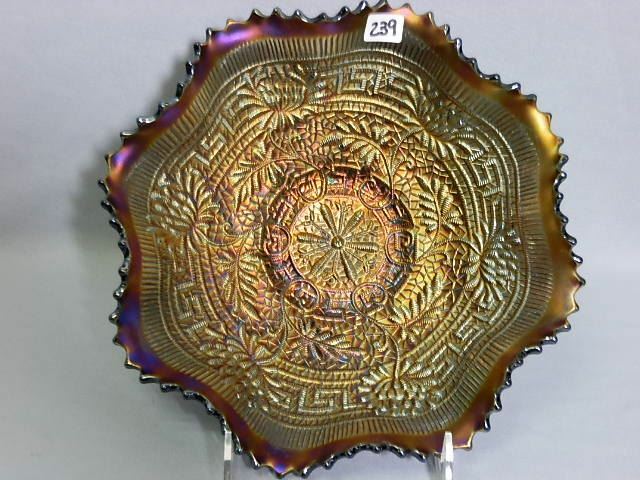 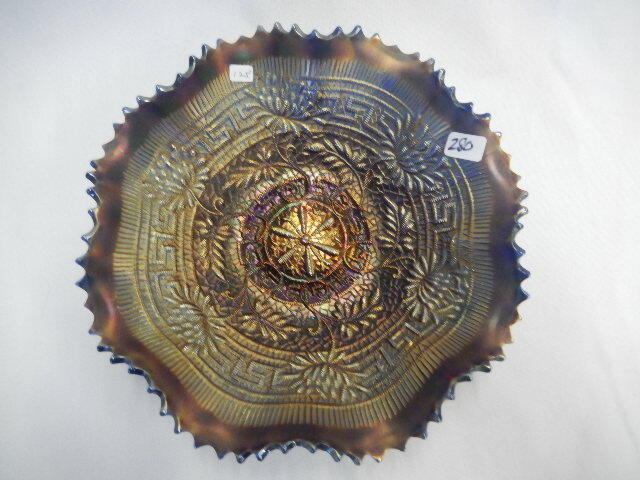 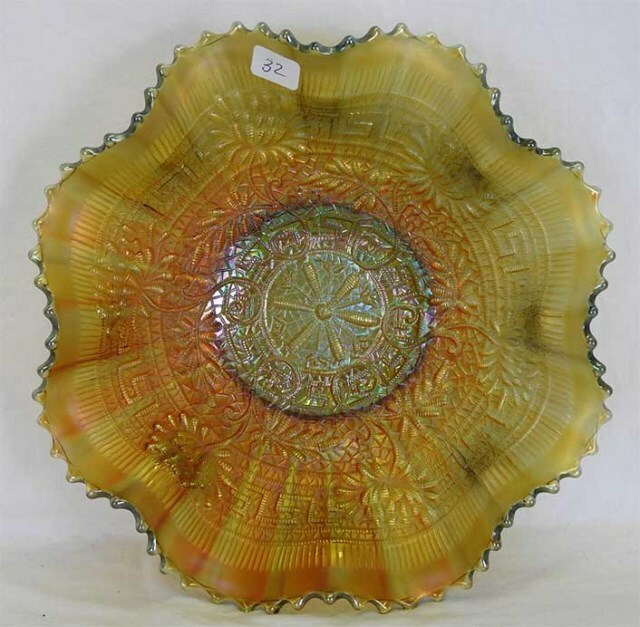 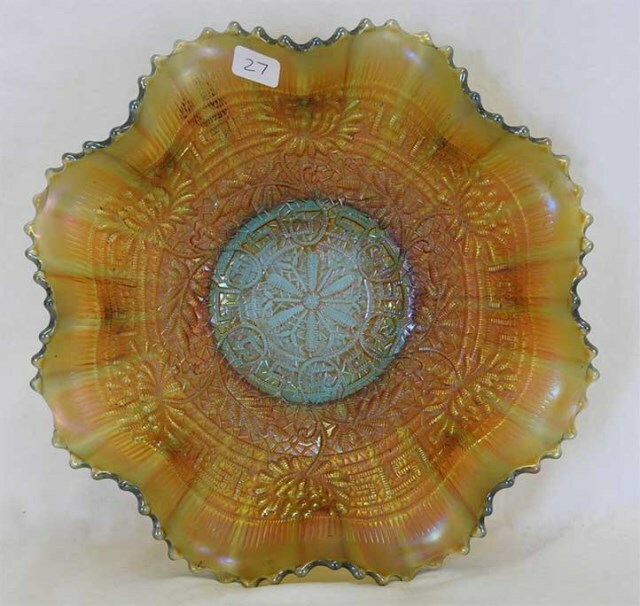 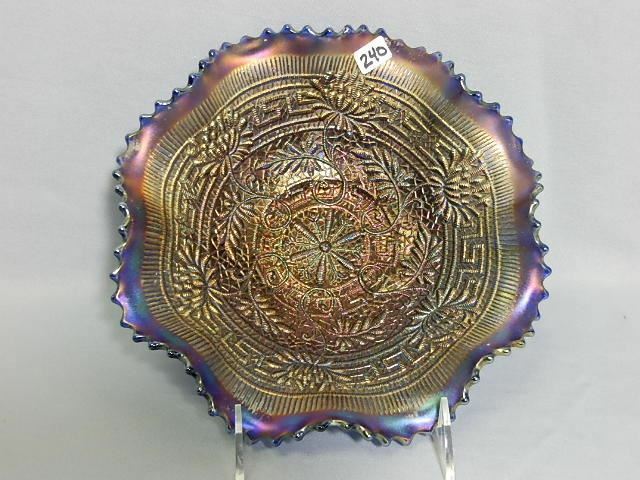 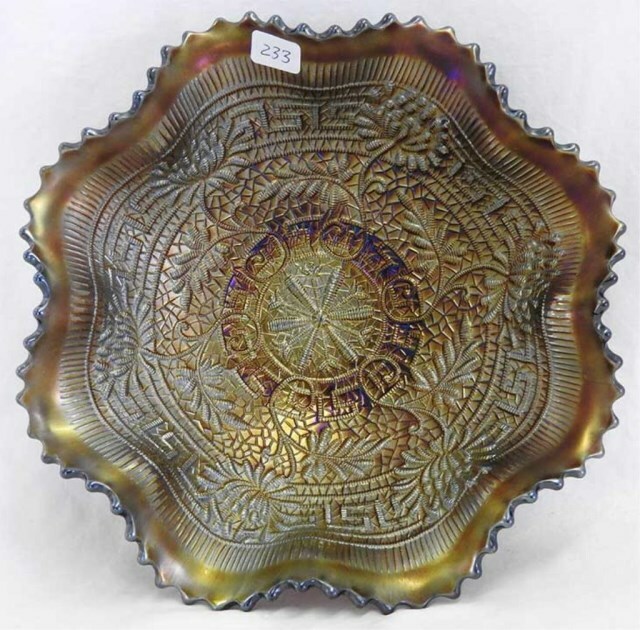 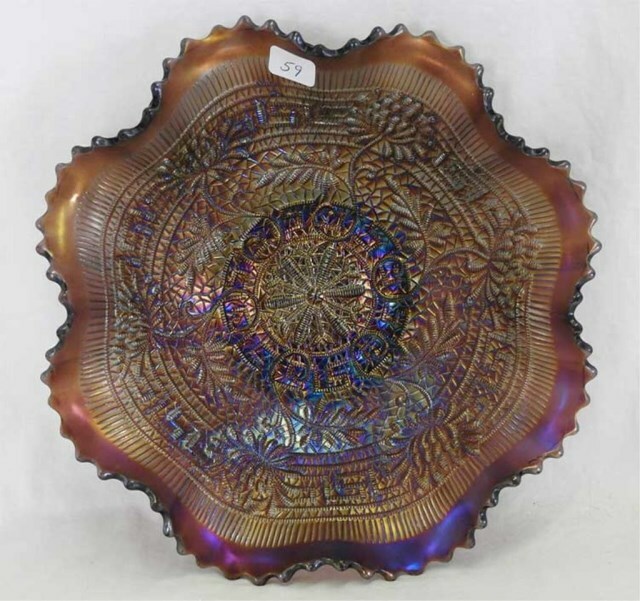 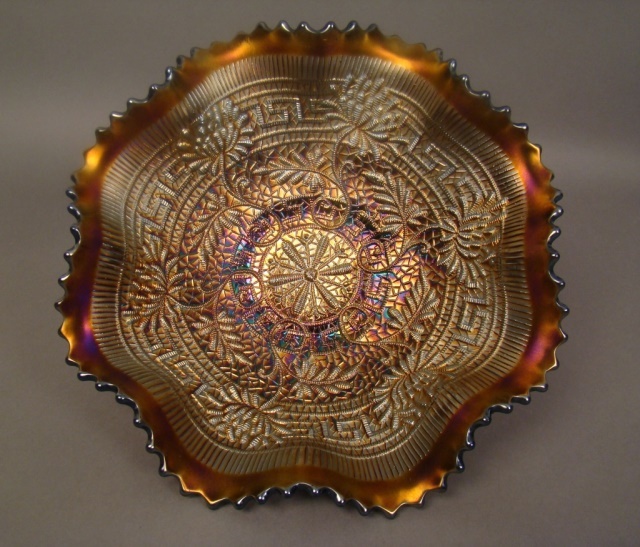 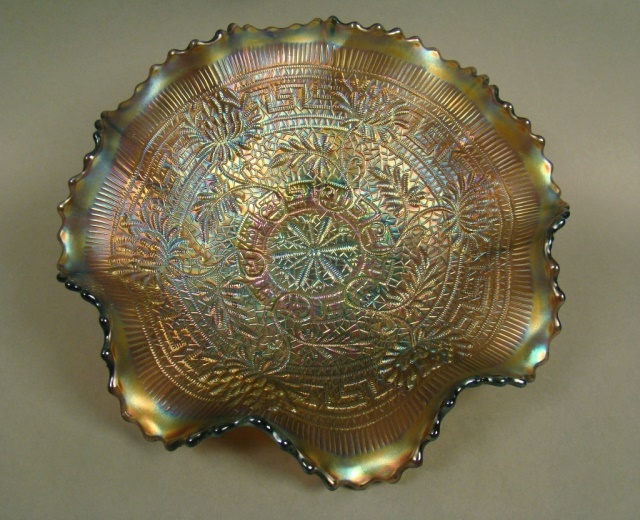 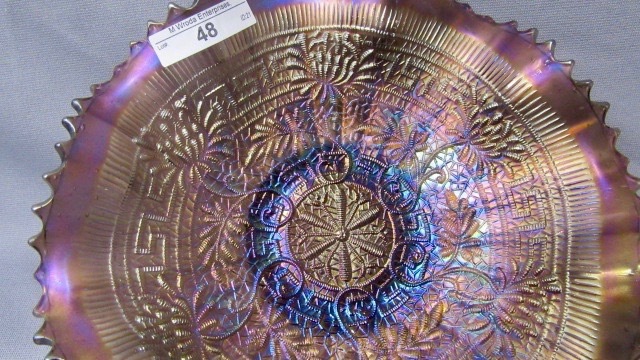 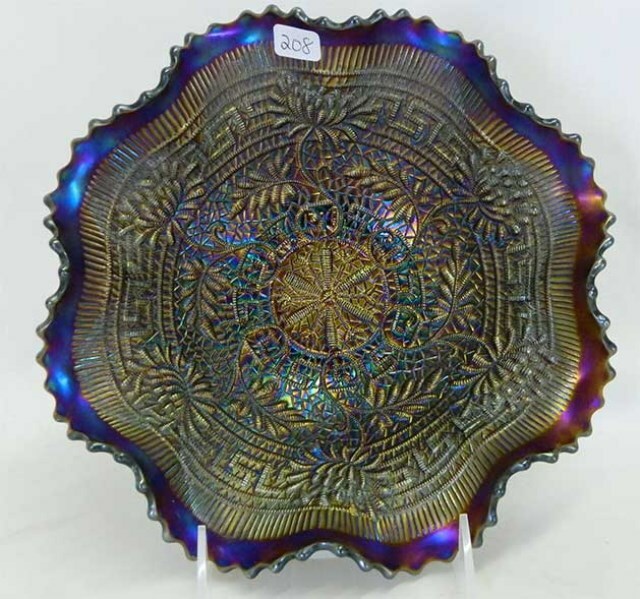 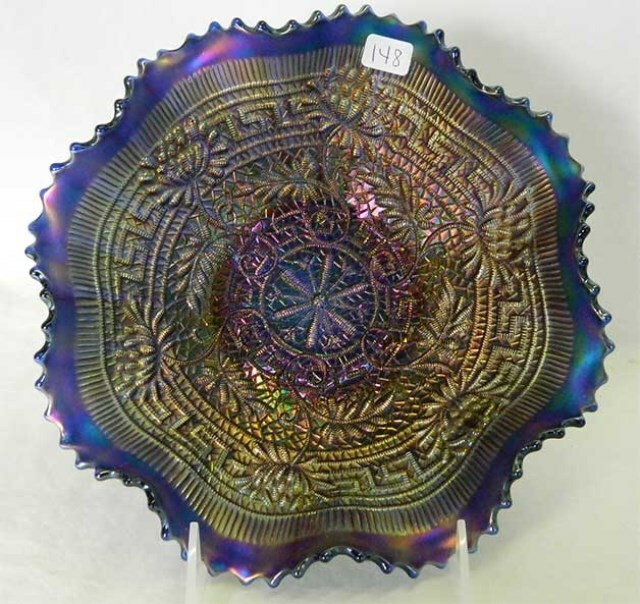 Pie-crust-edged bowls are rare in this pattern. 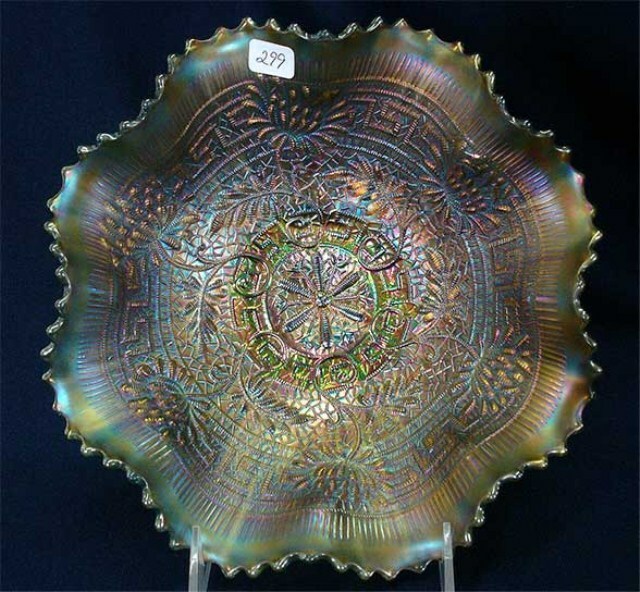 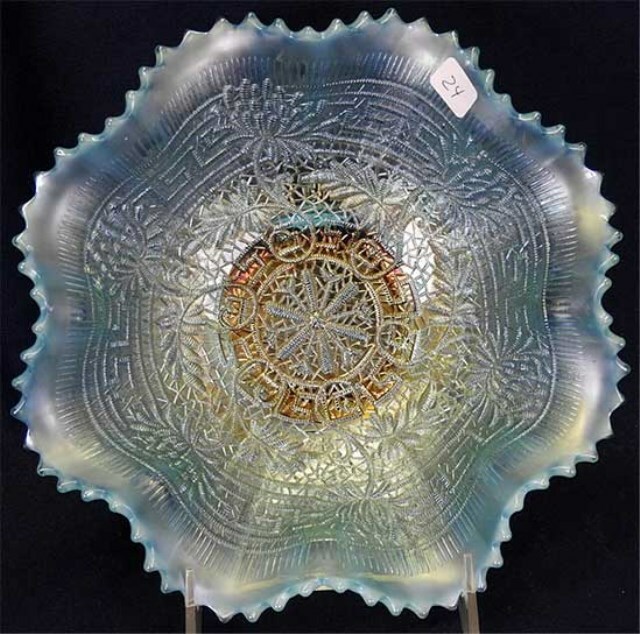 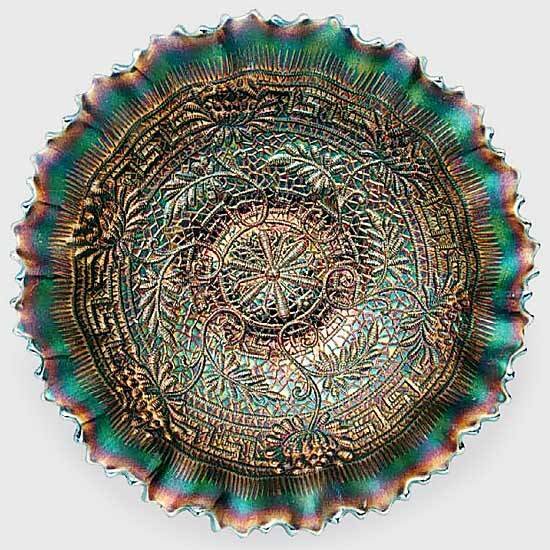 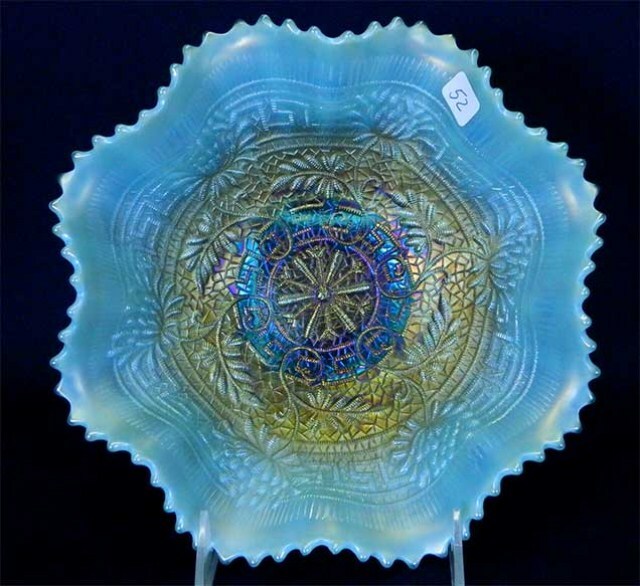 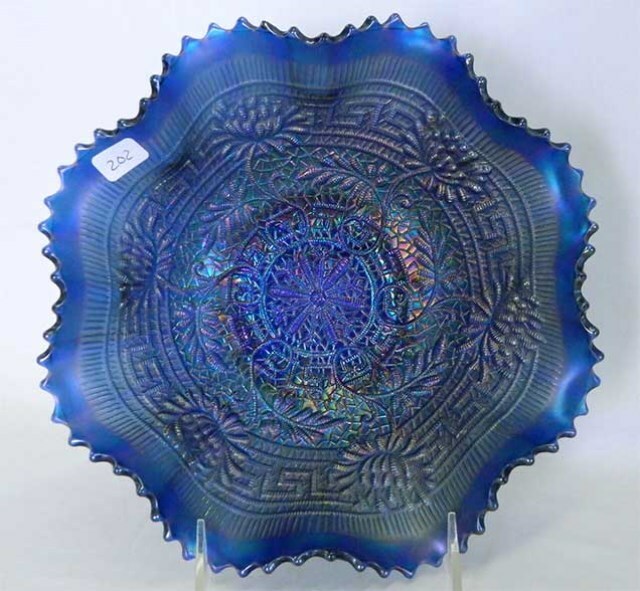 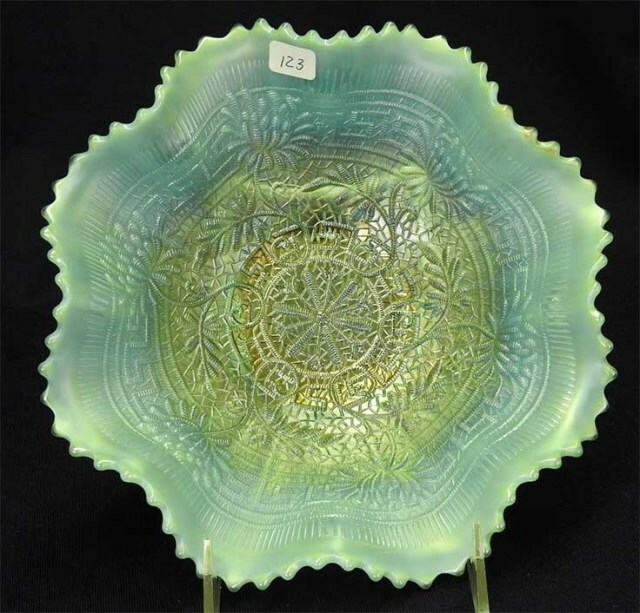 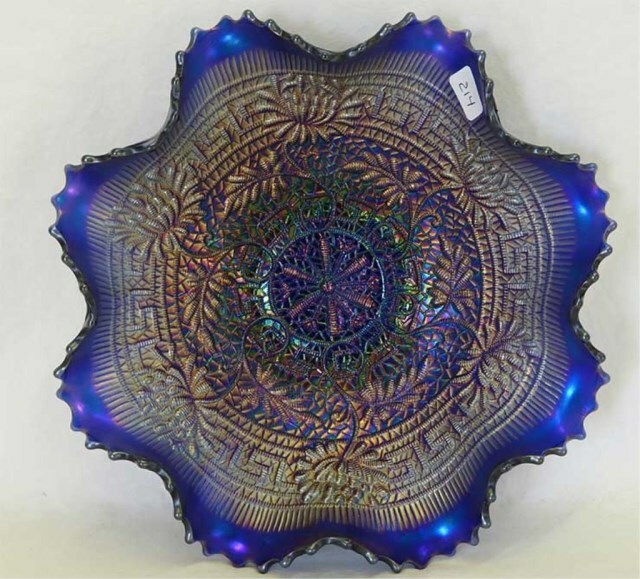 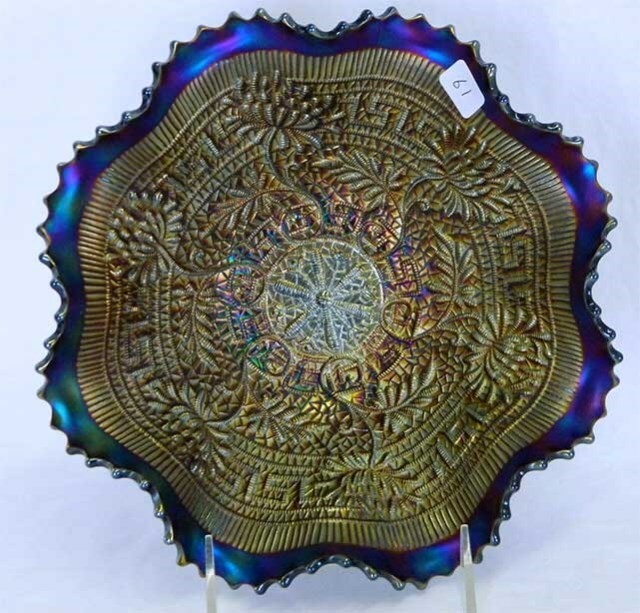 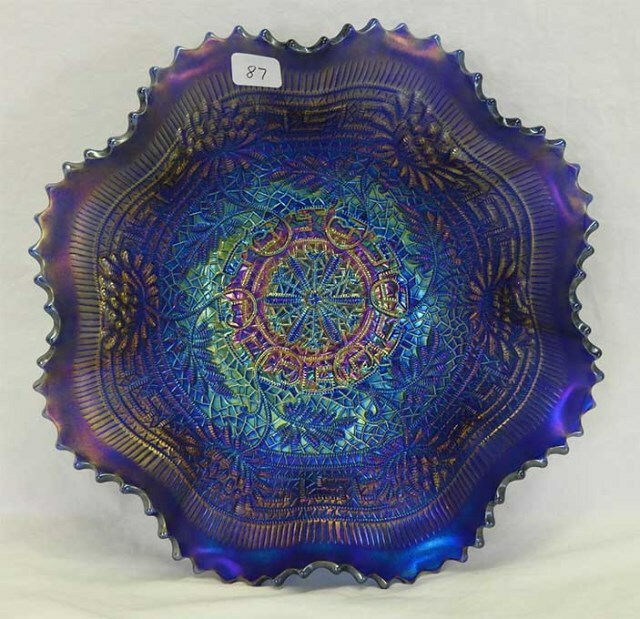 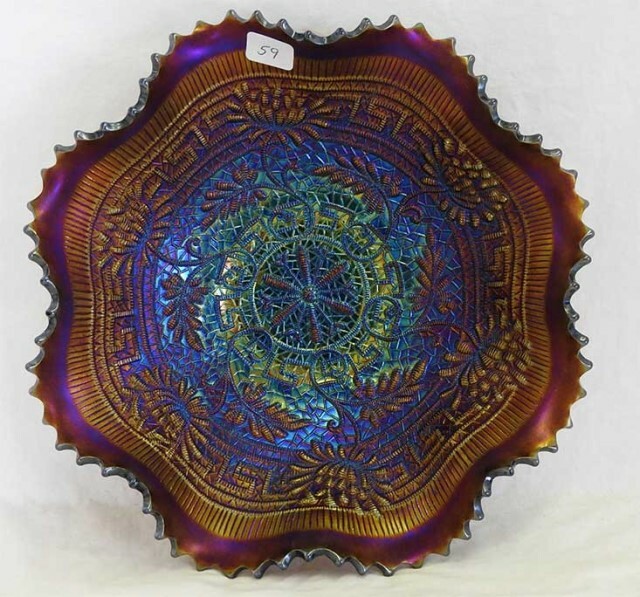 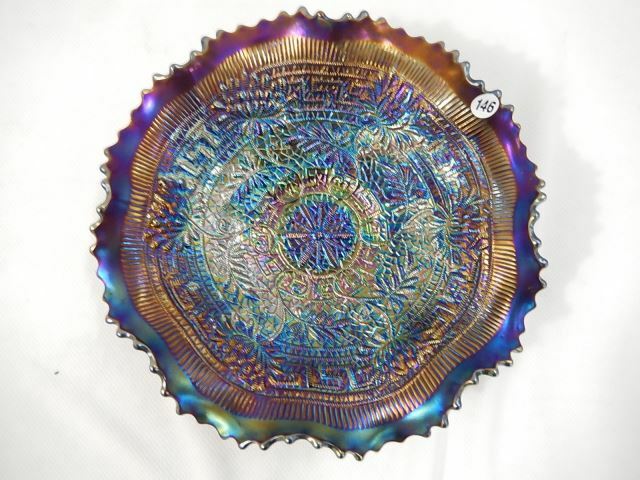 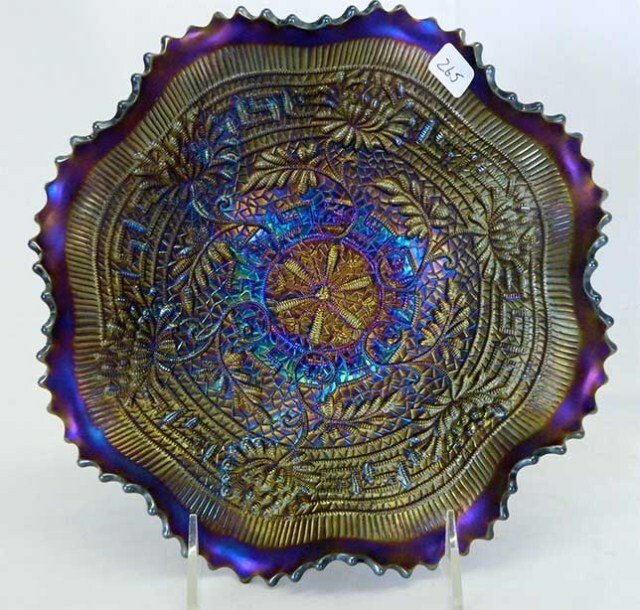 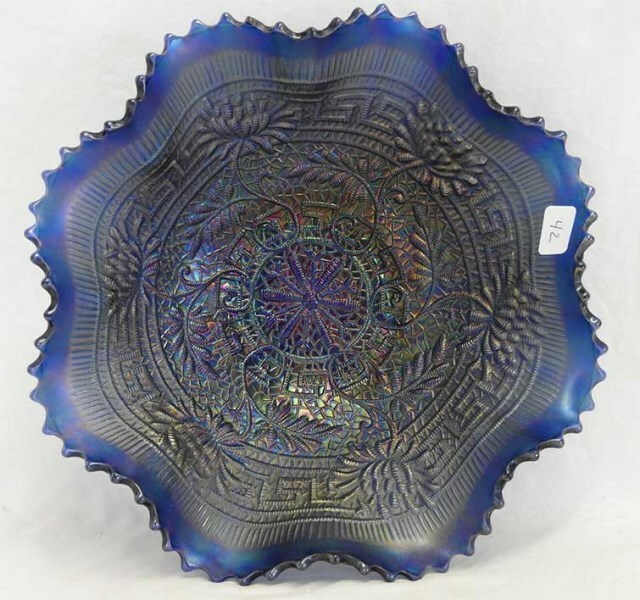 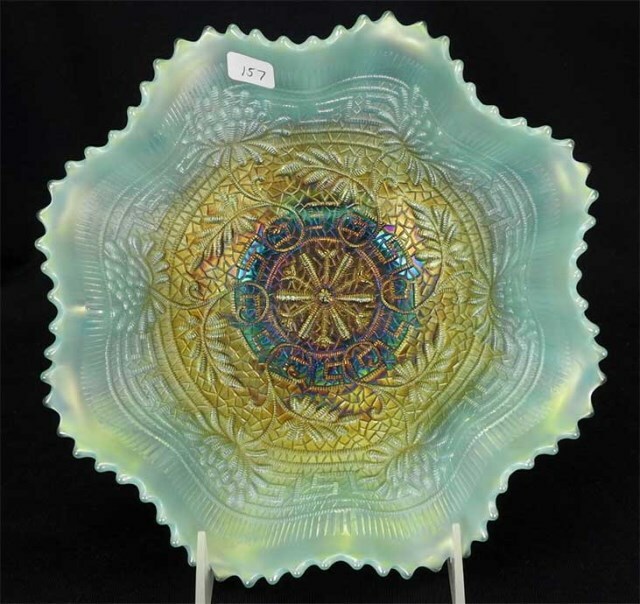 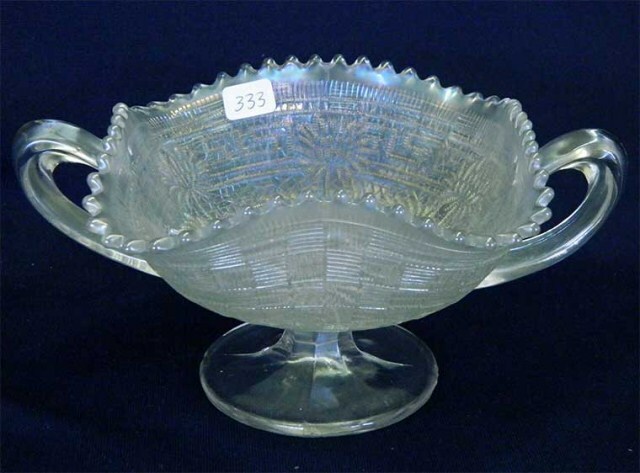 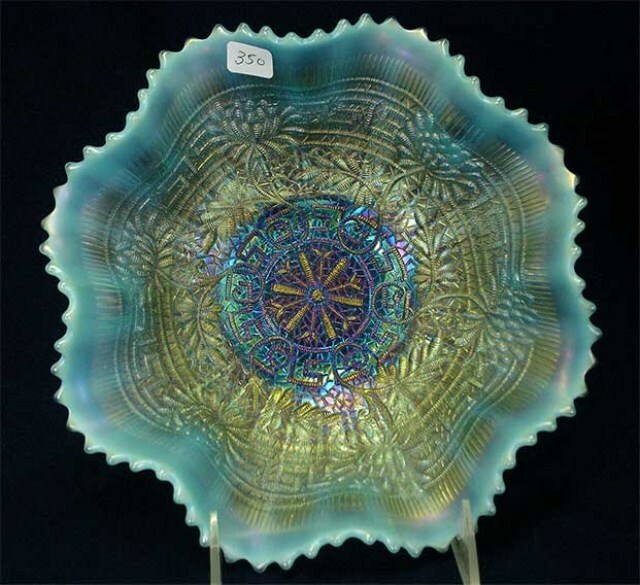 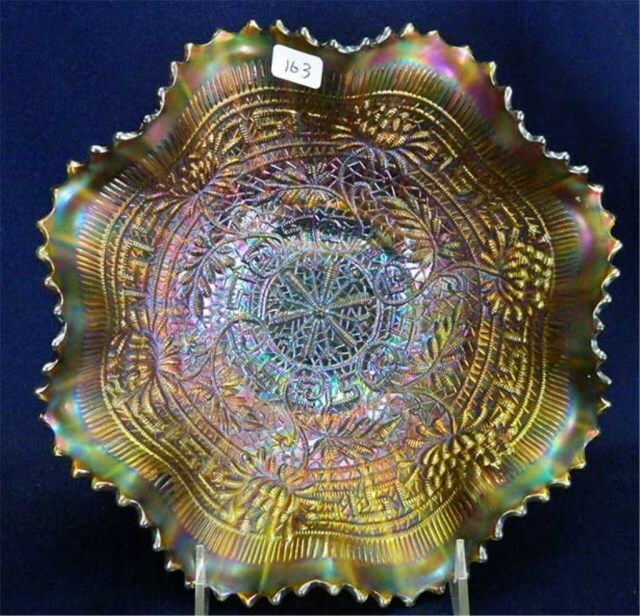 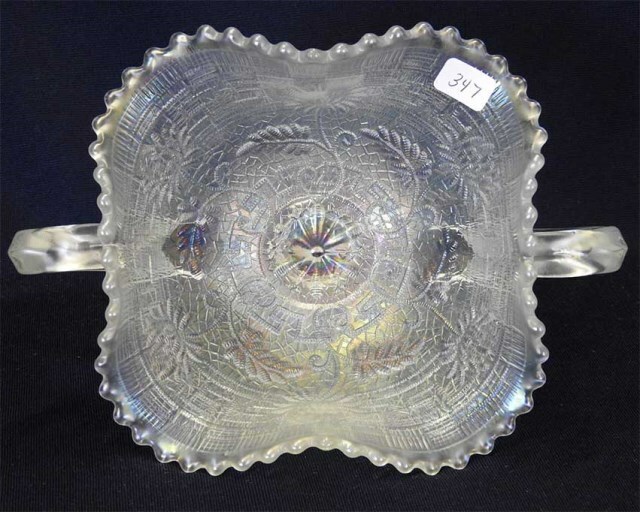 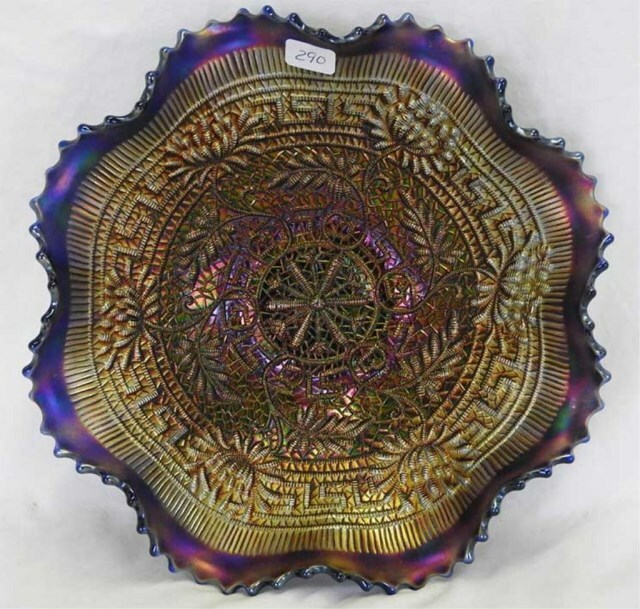 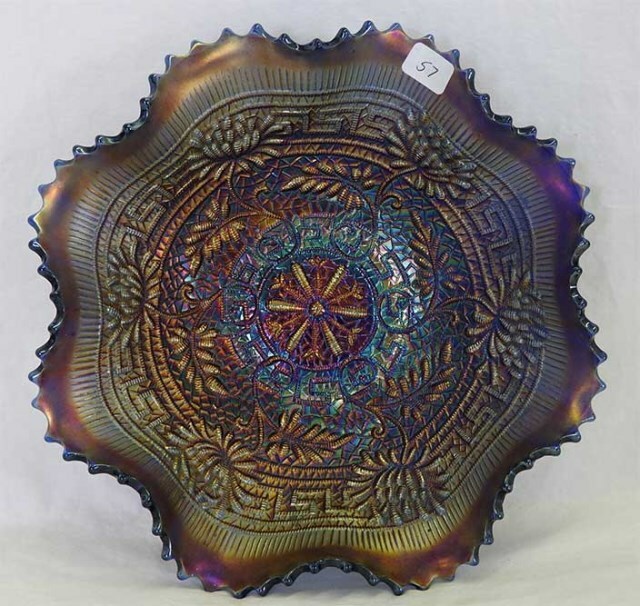 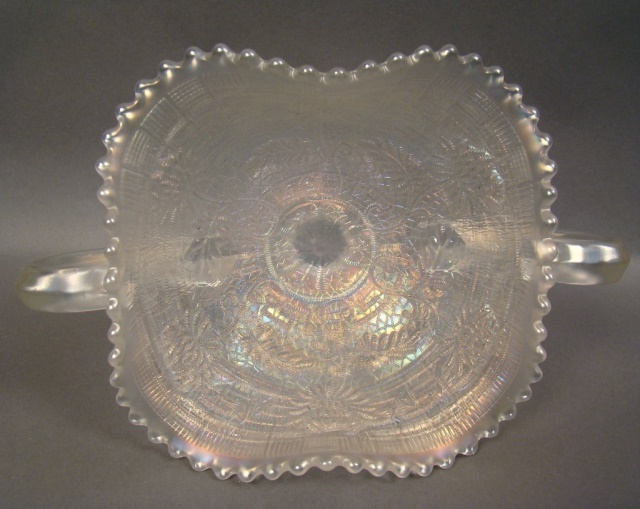 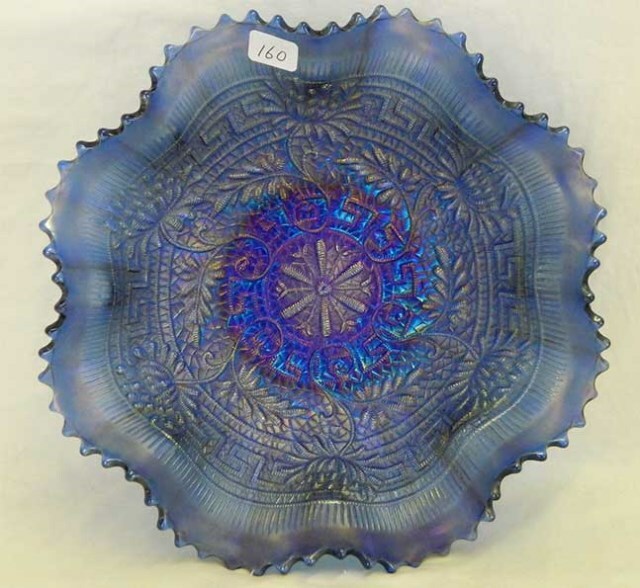 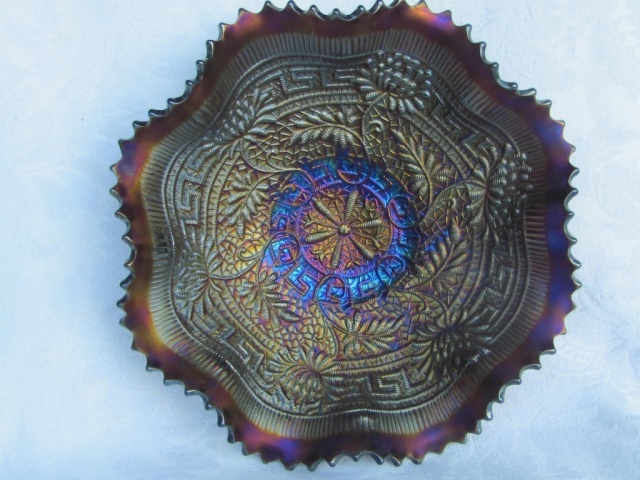 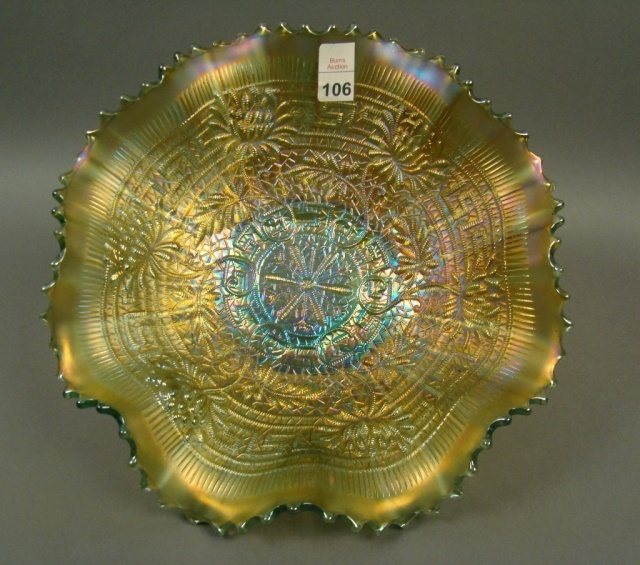 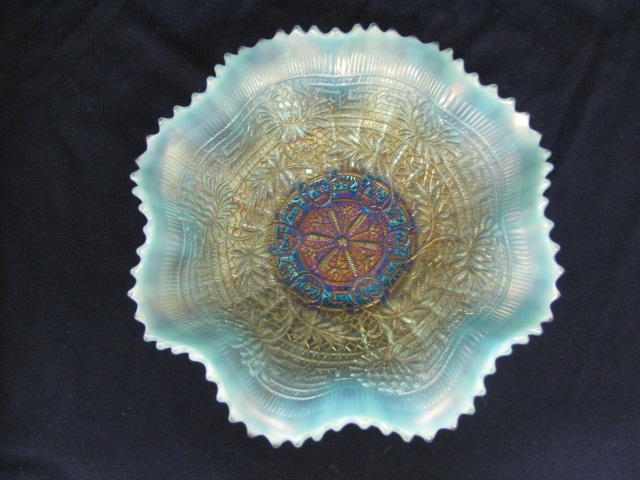 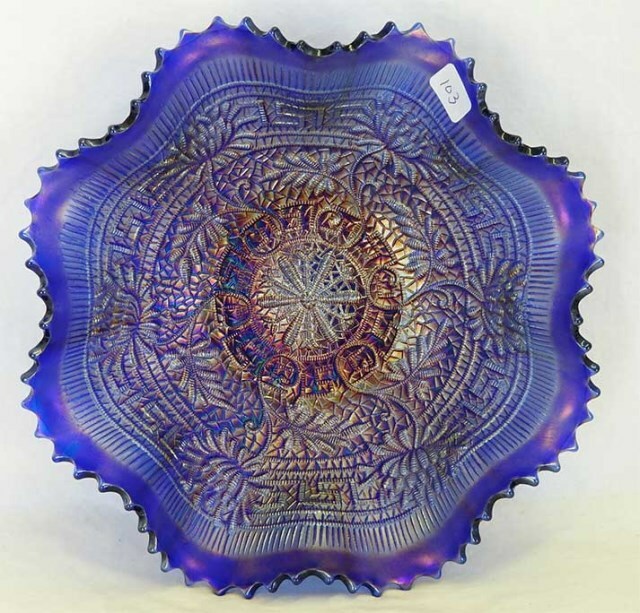 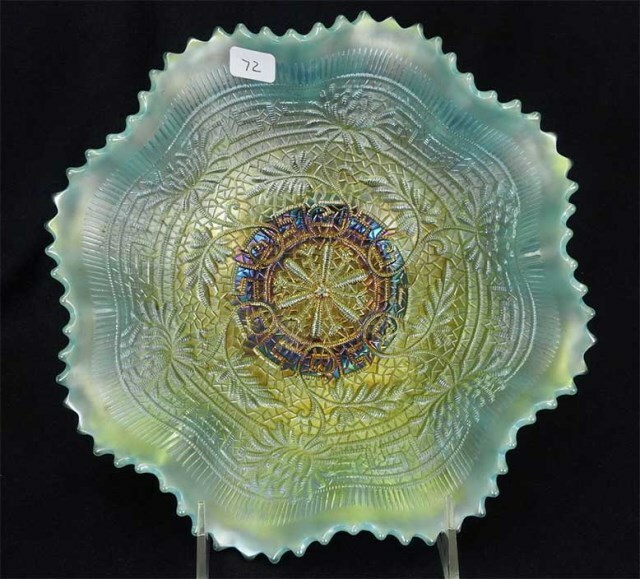 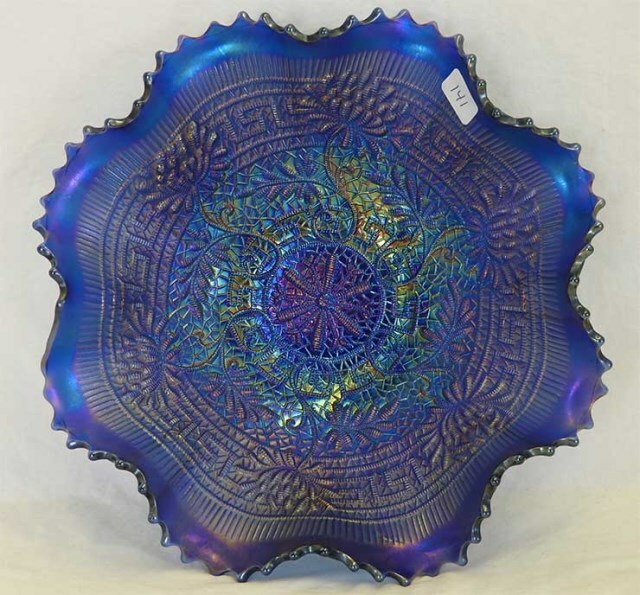 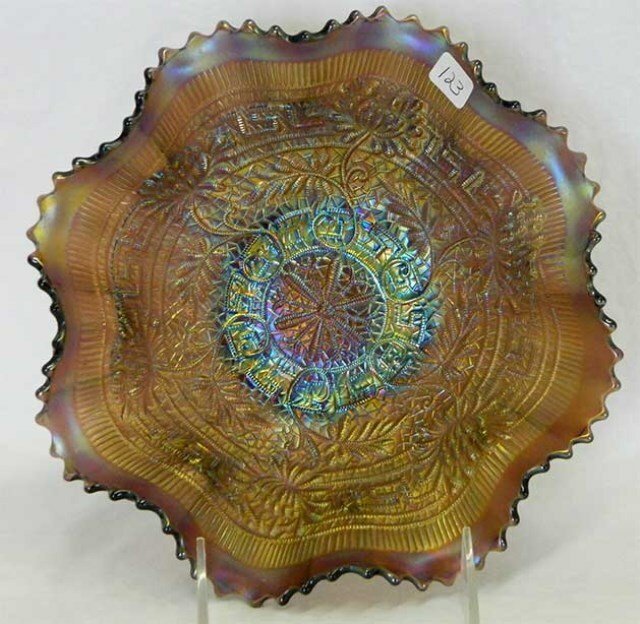 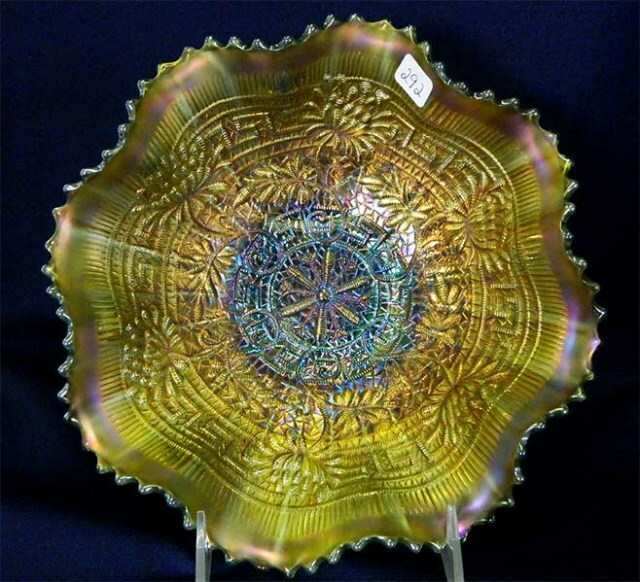 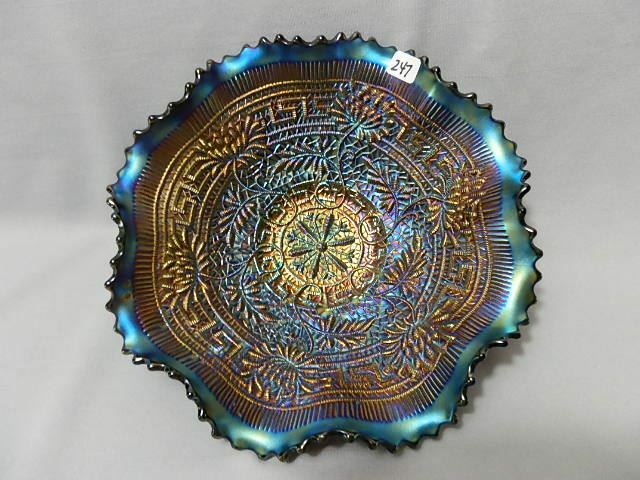 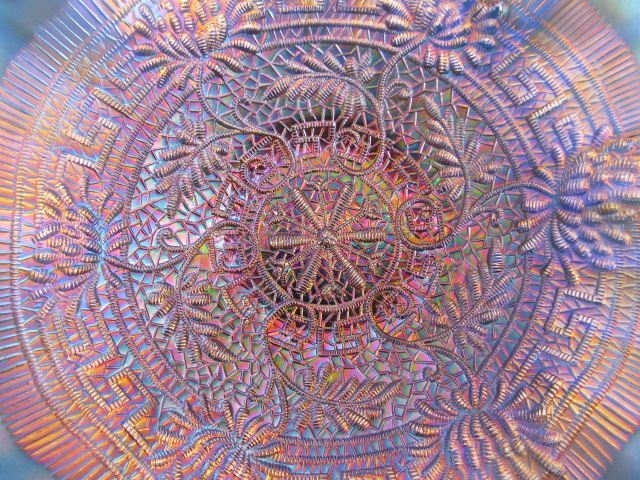 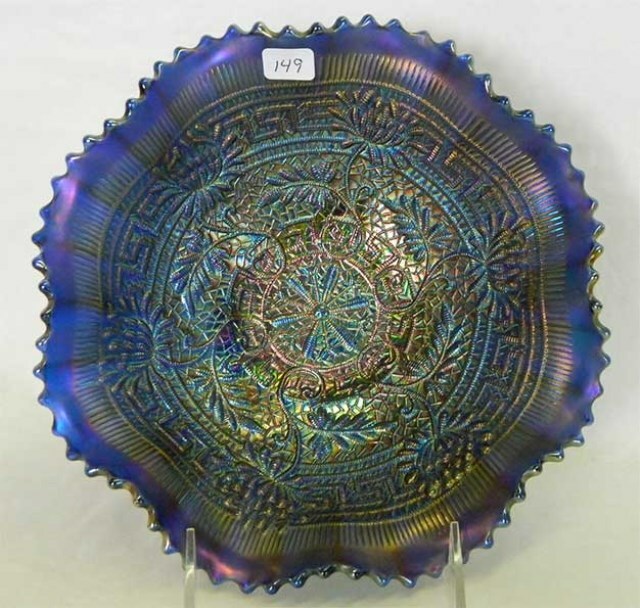 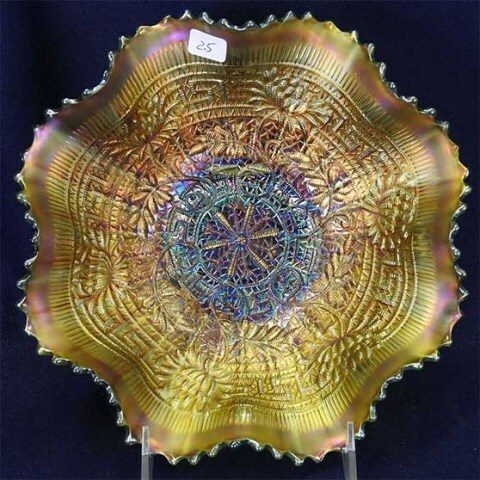 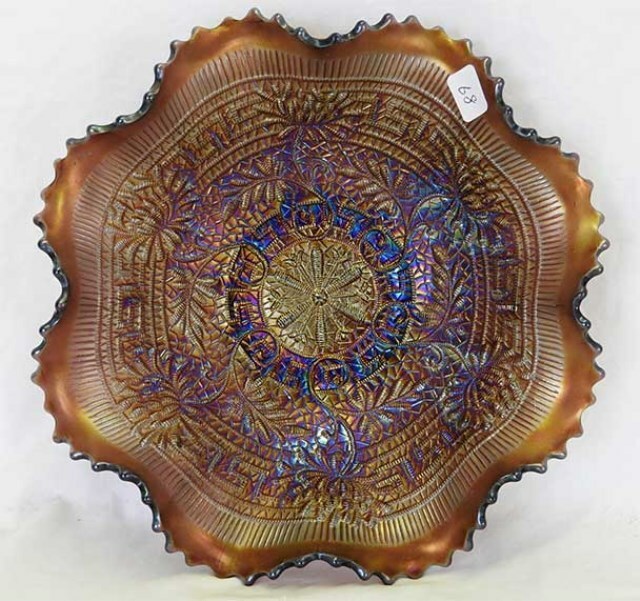 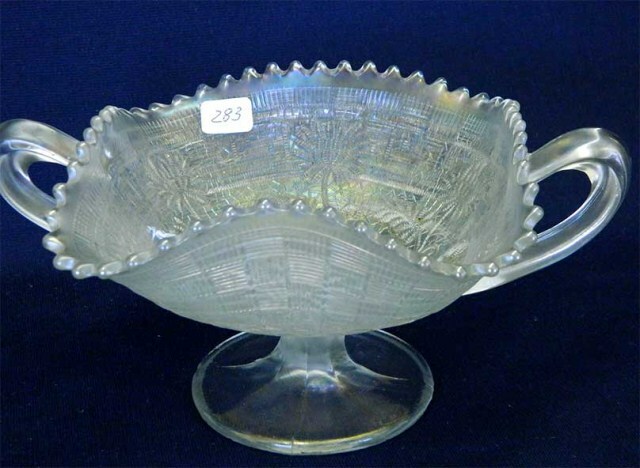 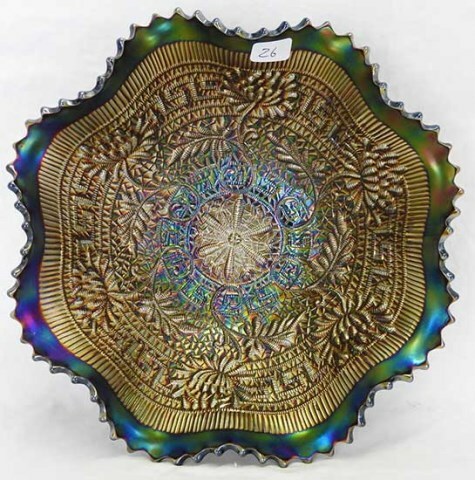 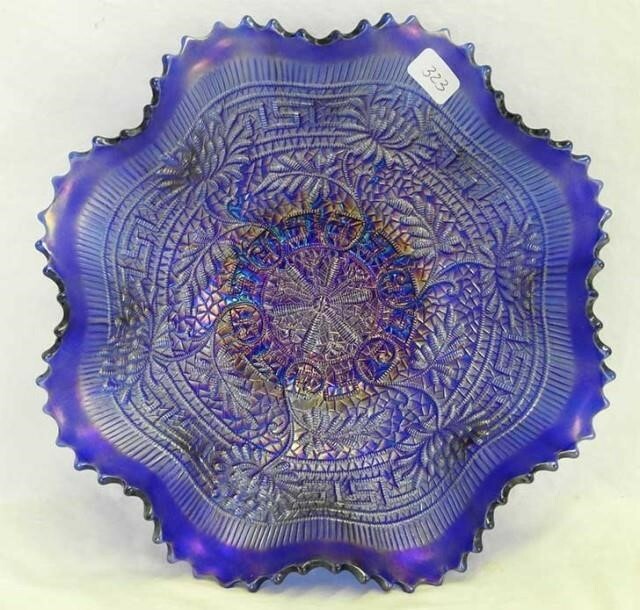 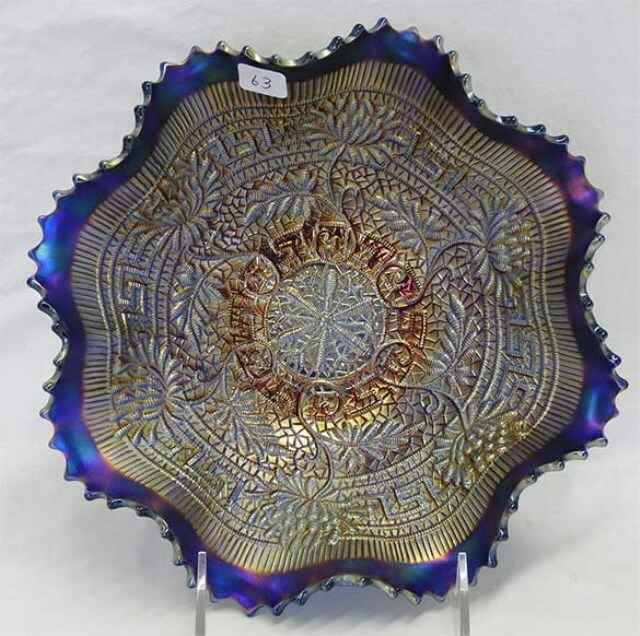 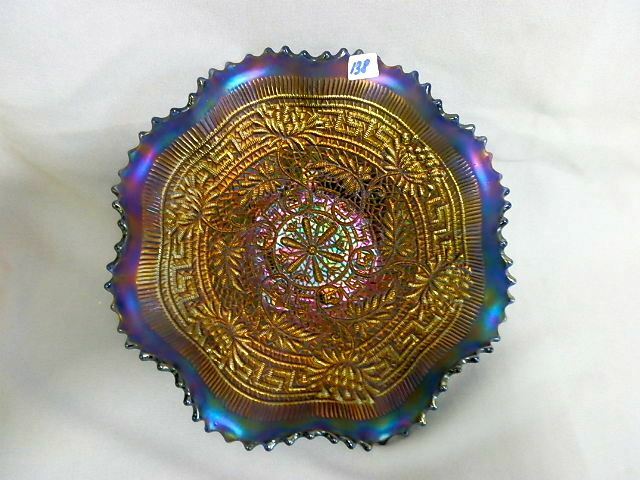 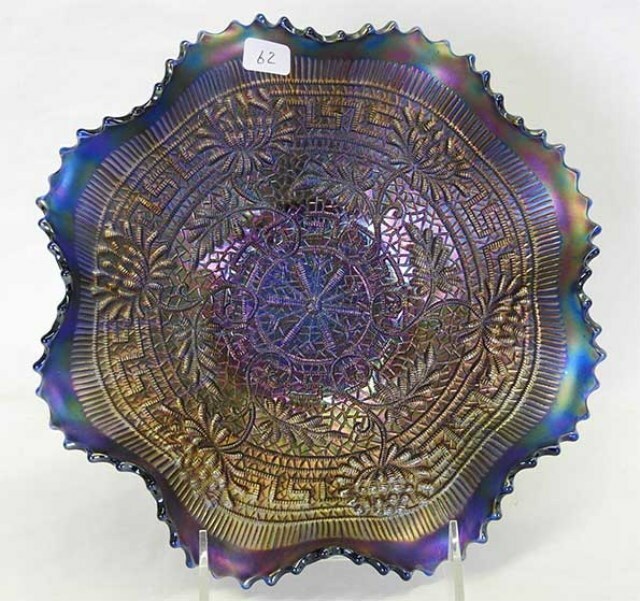 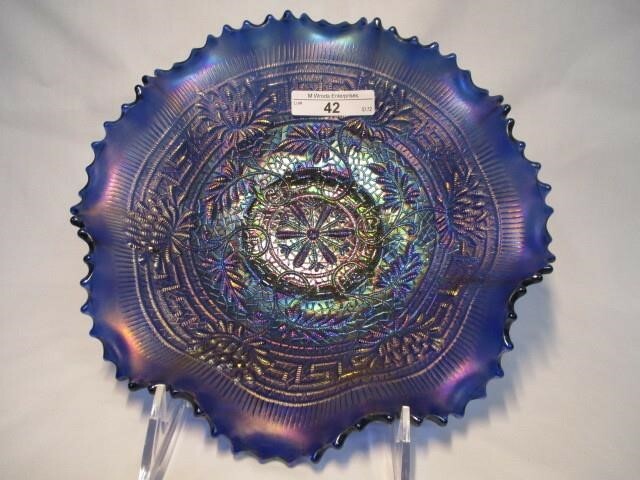 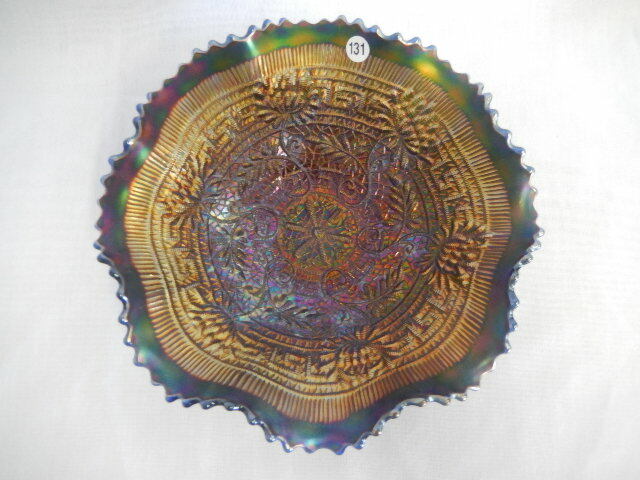 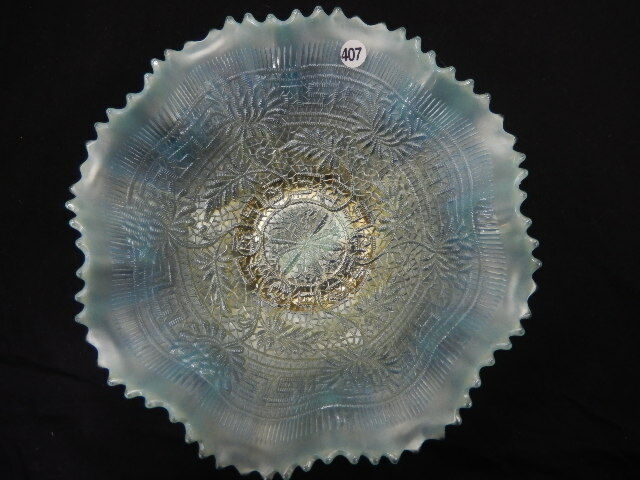 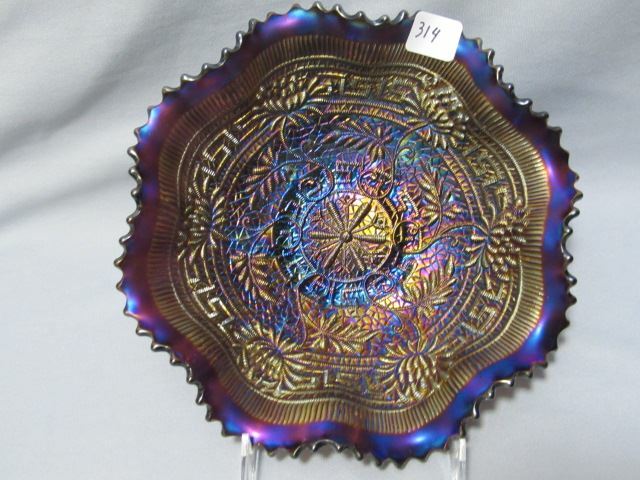 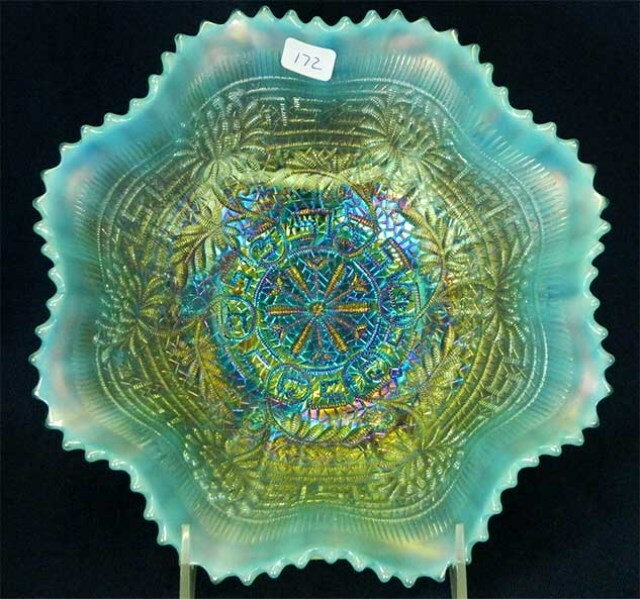 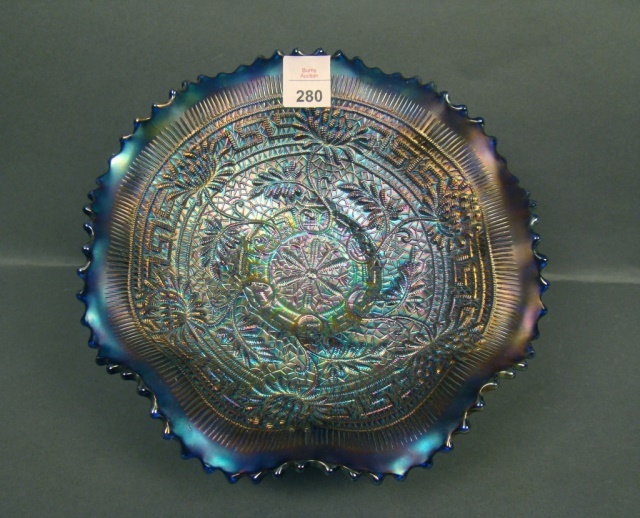 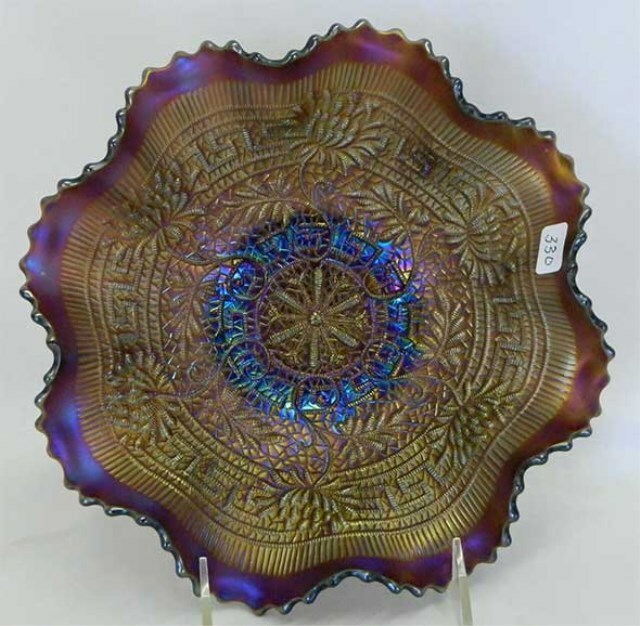 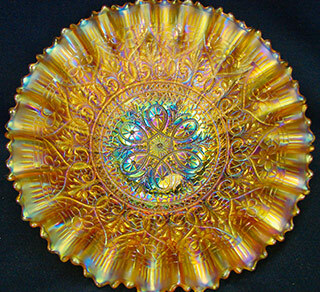 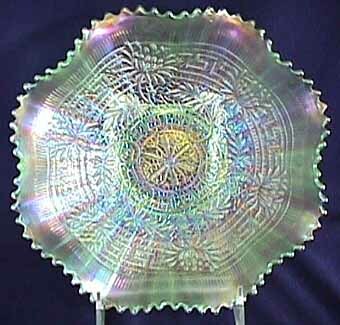 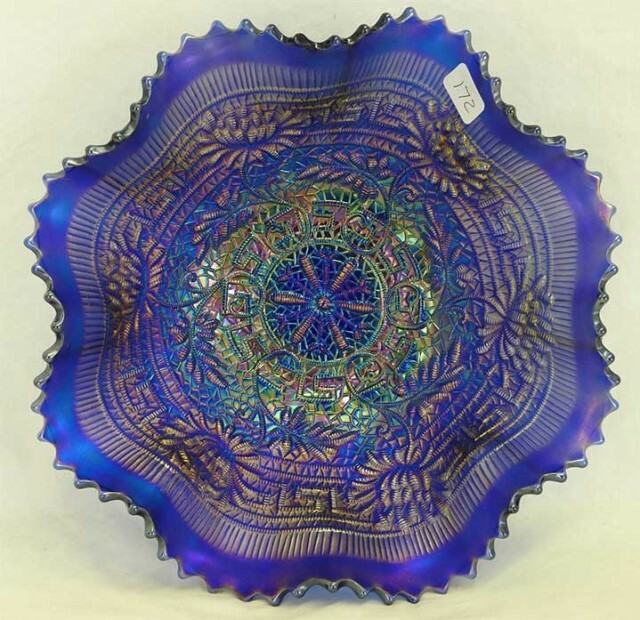 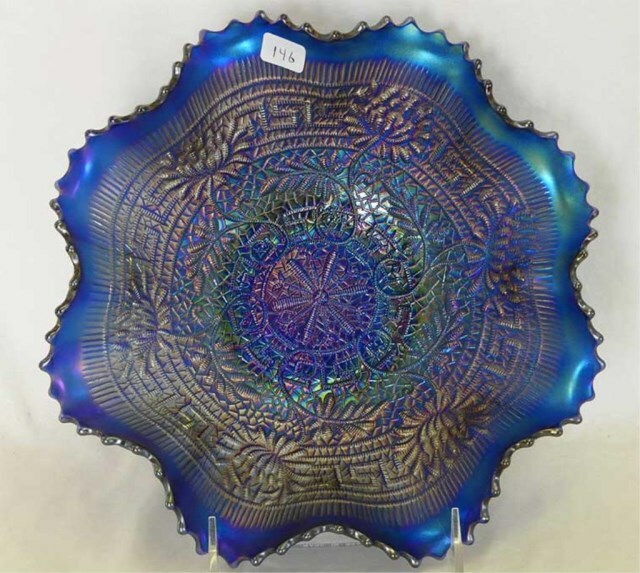 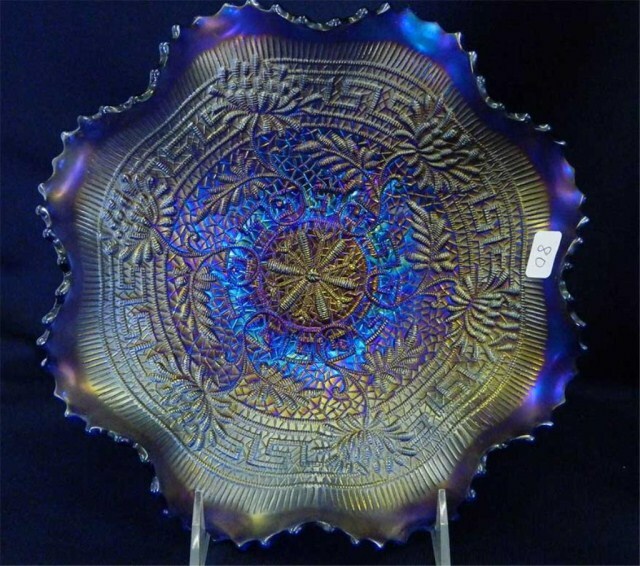 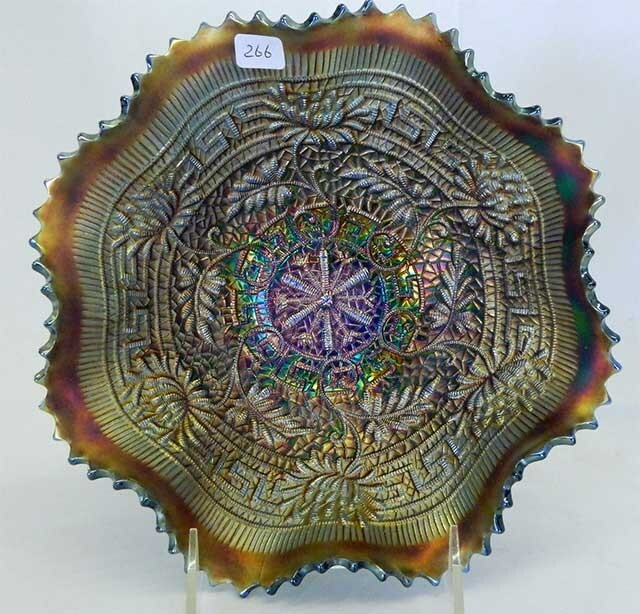 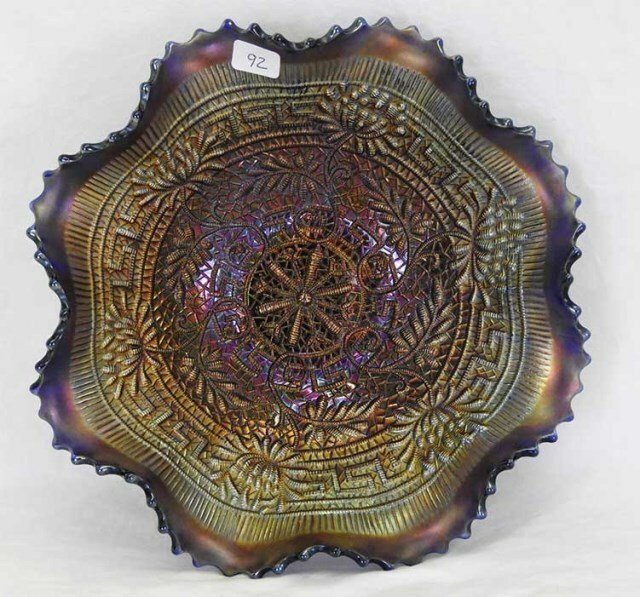 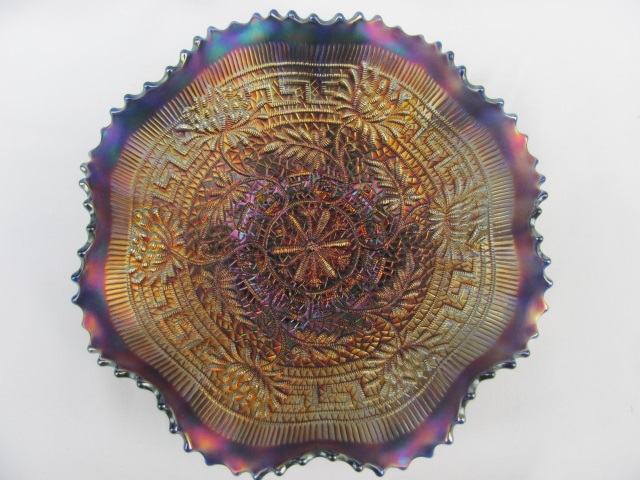 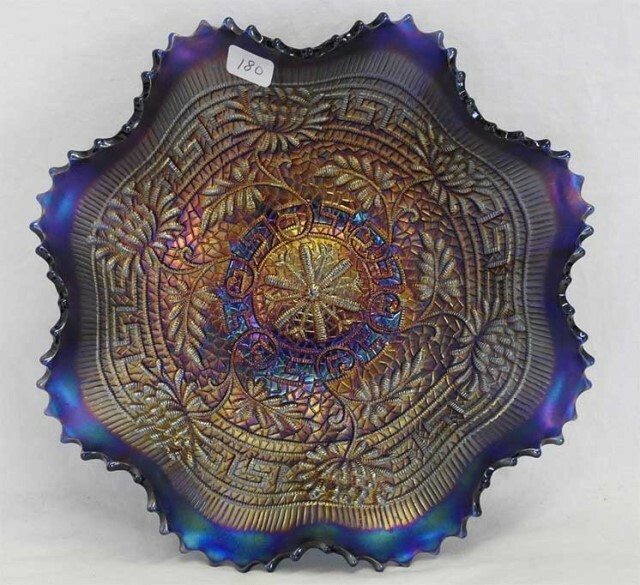 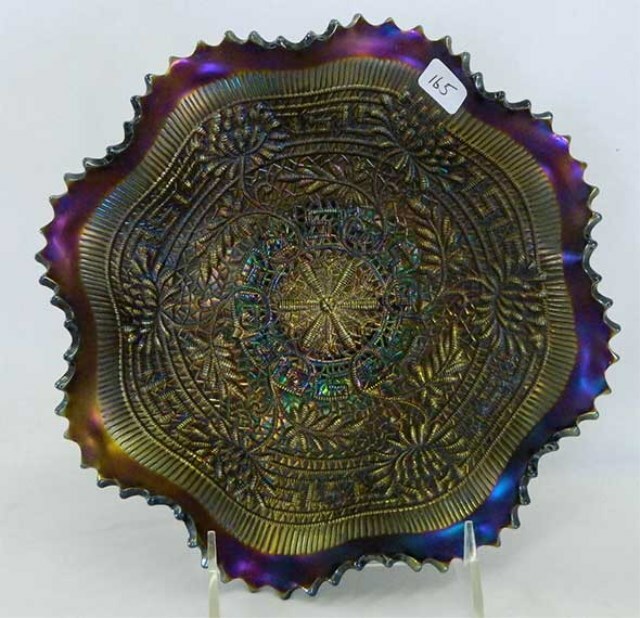 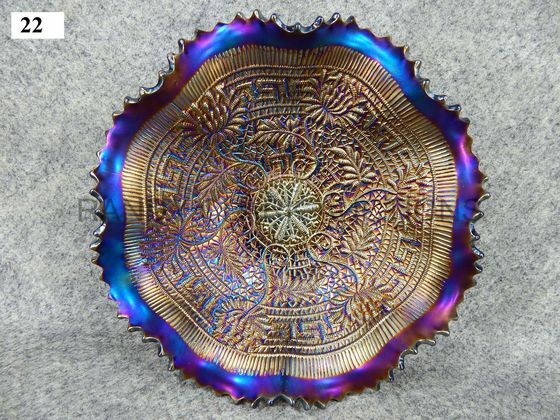 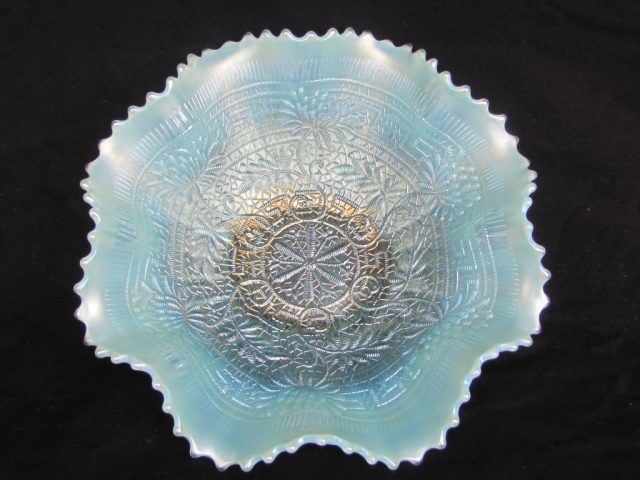 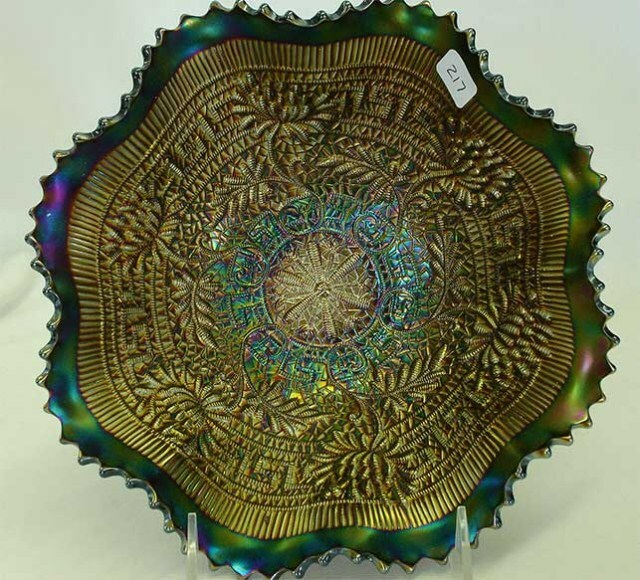 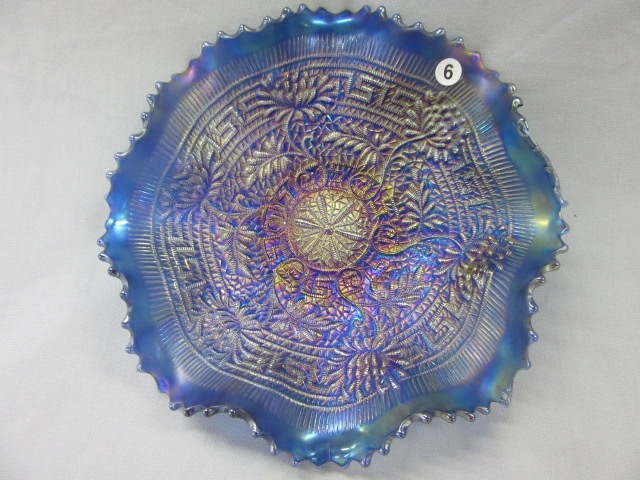 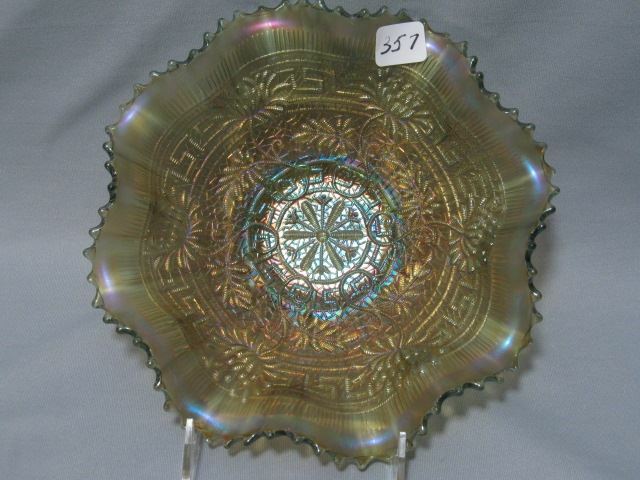 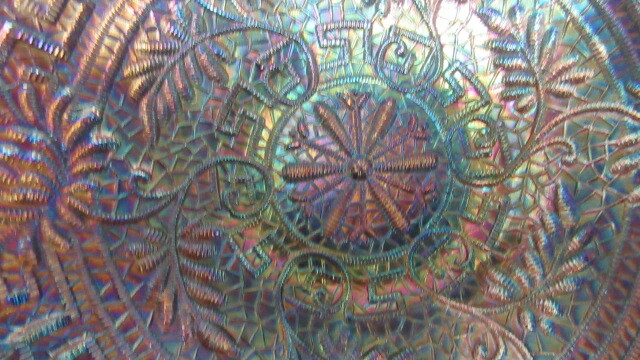 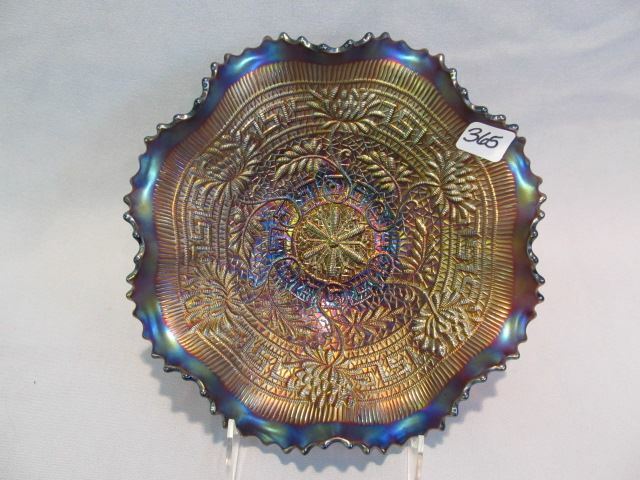 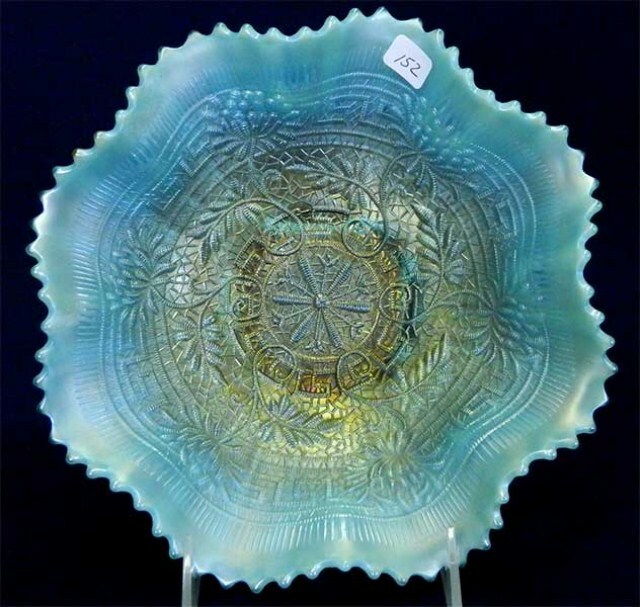 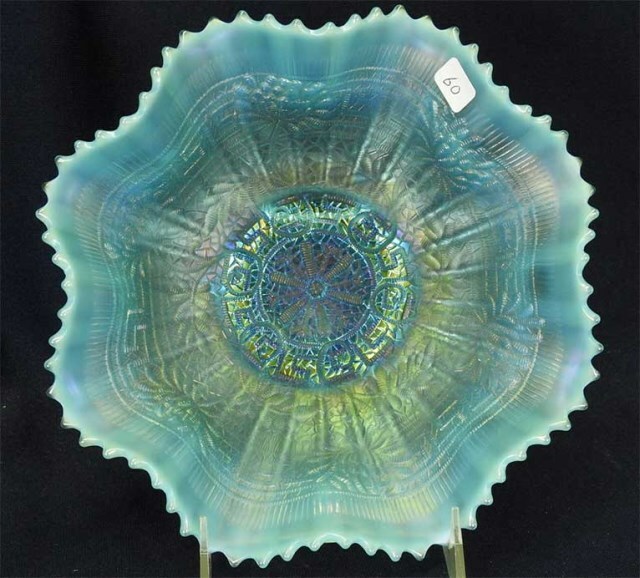 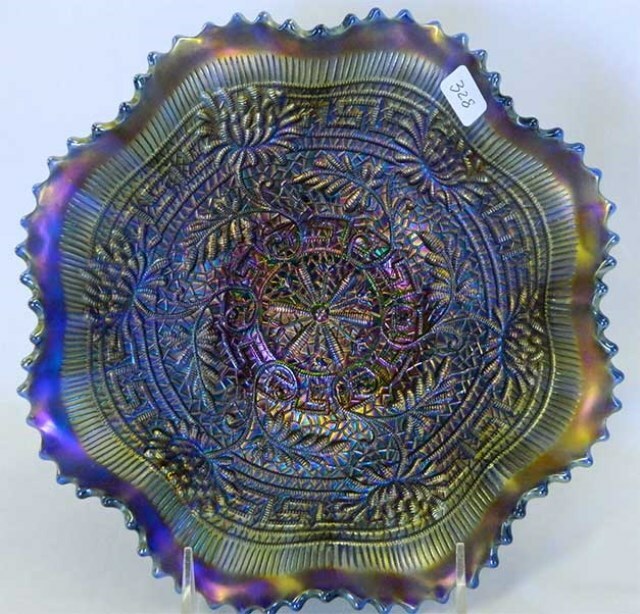 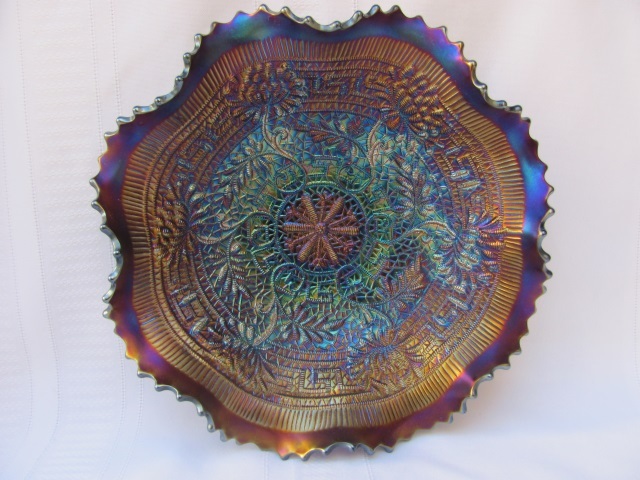 The aqua opal Embroidered Mums bowl in the center sold at the 2013 Heart of America Carnival Glass Association convention auction for $1,500. 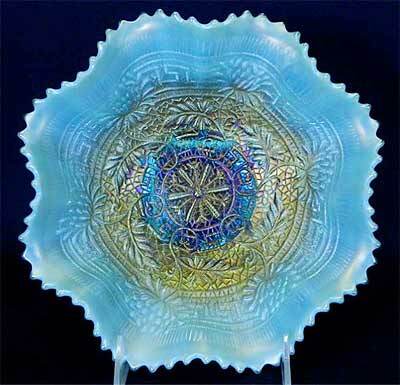 The ice green ruffled bowl on the right sold at the 2003 International Carnival Glass Association auction for $1,400. 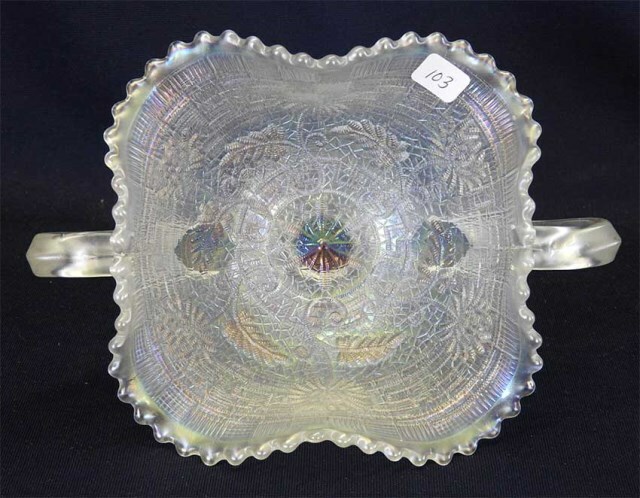 Auction photos above courtesy of Seeck Auctions.